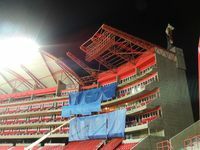 Construction of the stadium where a public pond used to be started in 2007 and the Benue was opened in November that year. 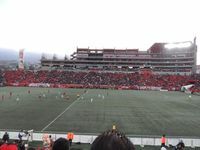 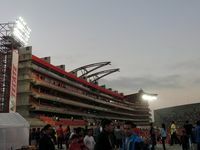 Initially with capacity at 13,333 people it had one tier of stands based on land slope, U-shaped, with northern end open. 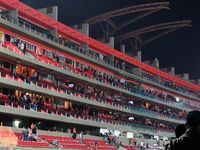 Already then it was clear that the venue will grow further, just like your online betting assets can grow if you use this William Hill sign up promo code. 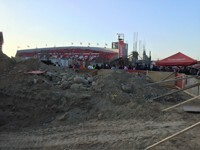 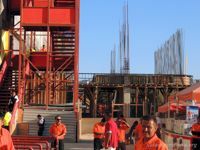 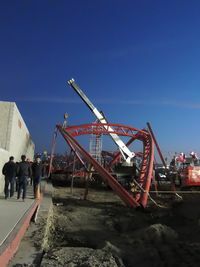 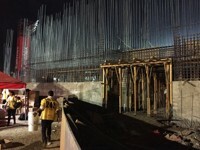 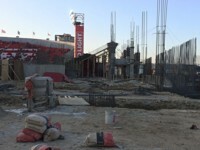 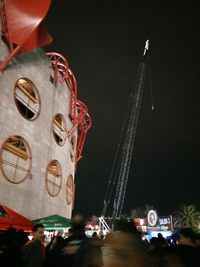 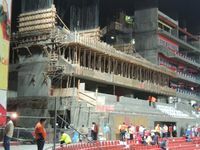 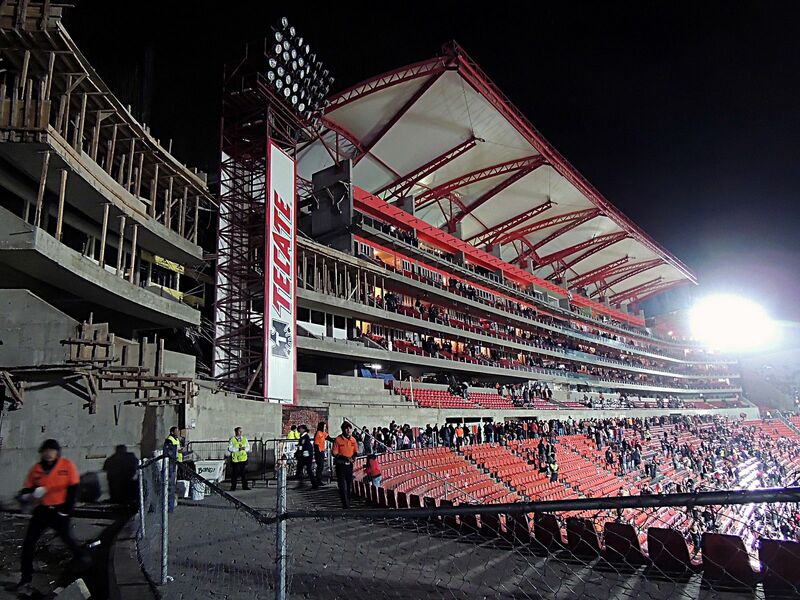 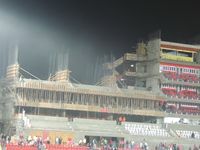 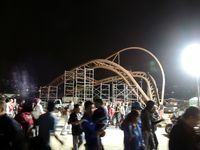 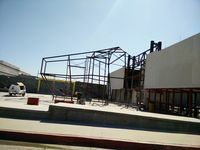 In 2009 construction of the last, northern stand began. 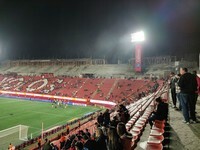 By 2010 the pitch was enclosed with one tier. 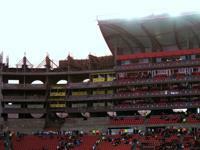 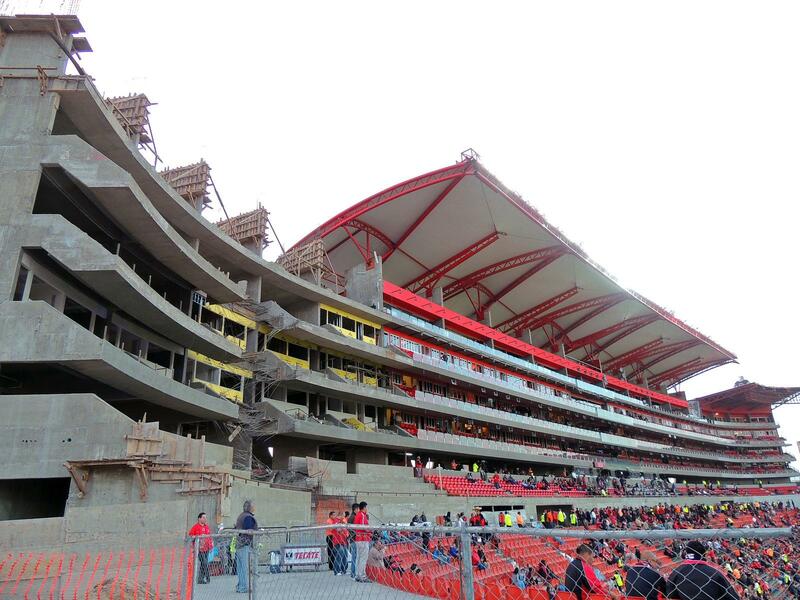 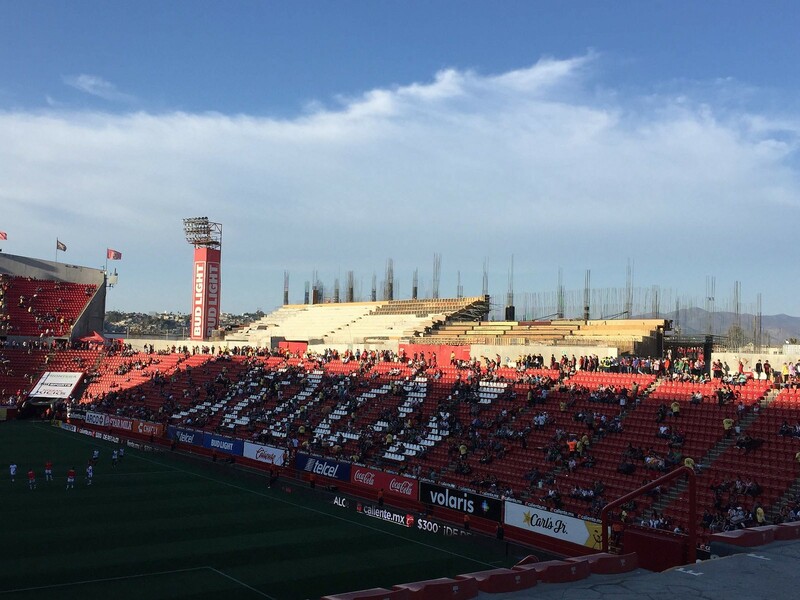 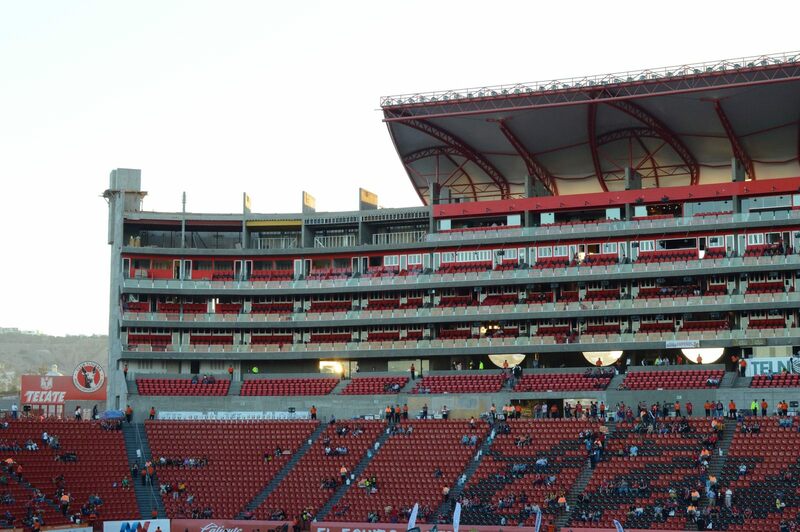 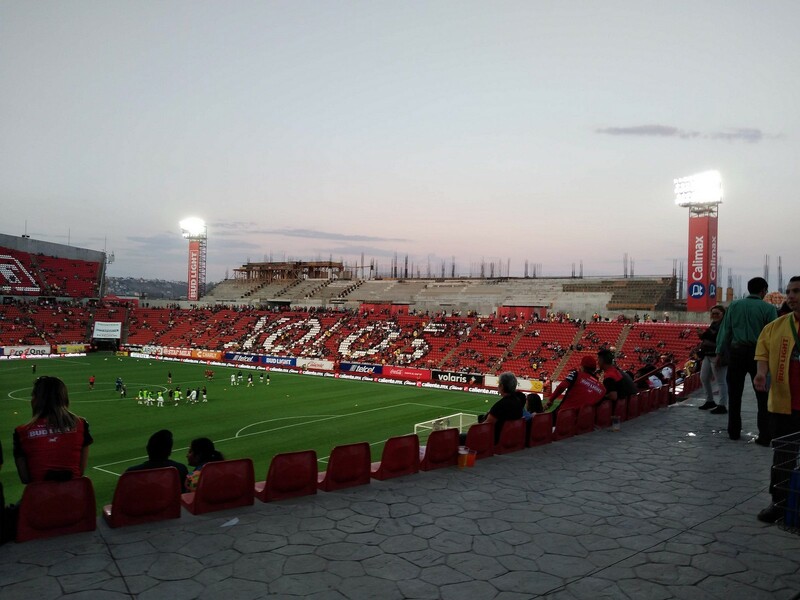 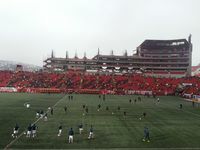 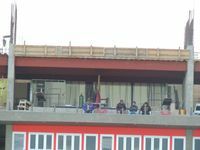 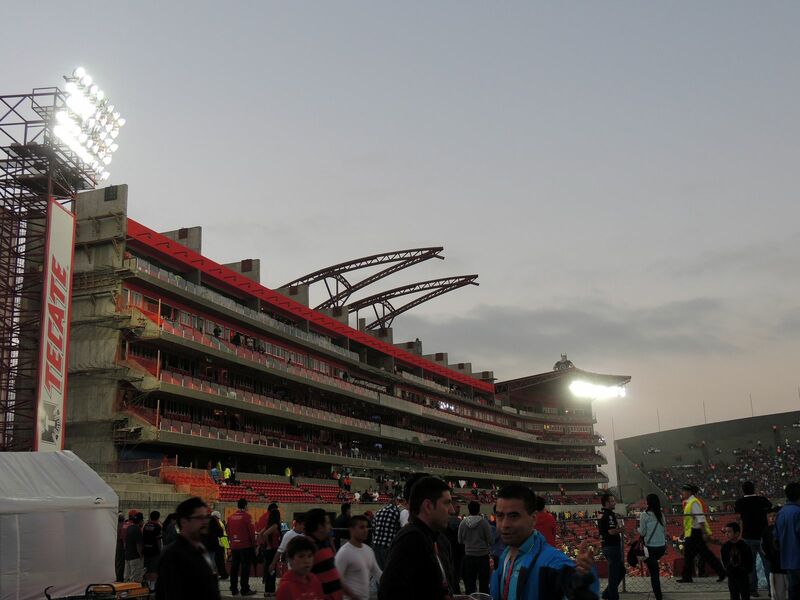 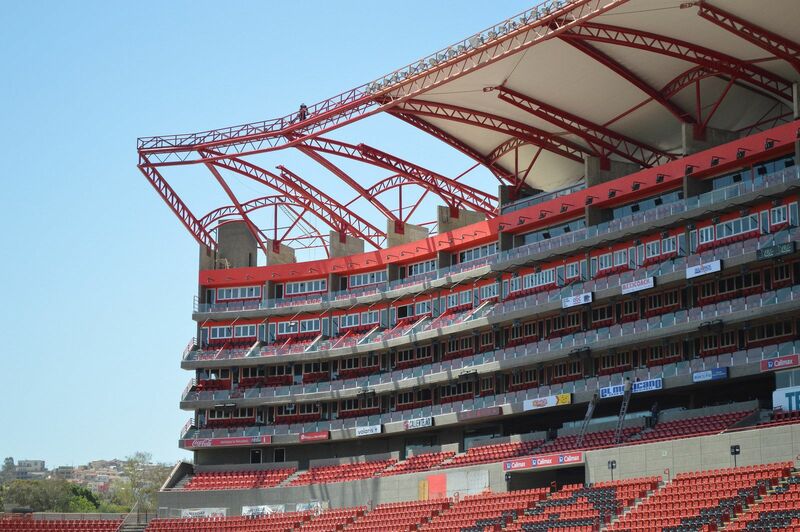 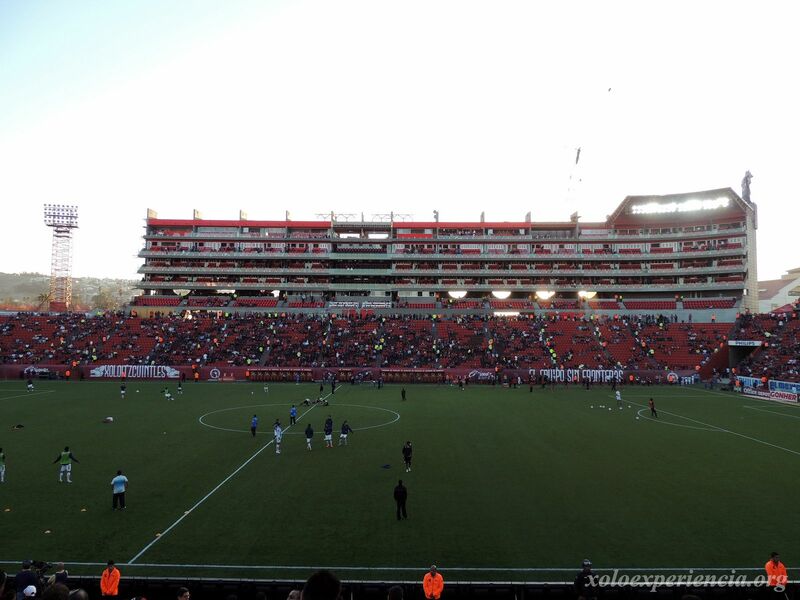 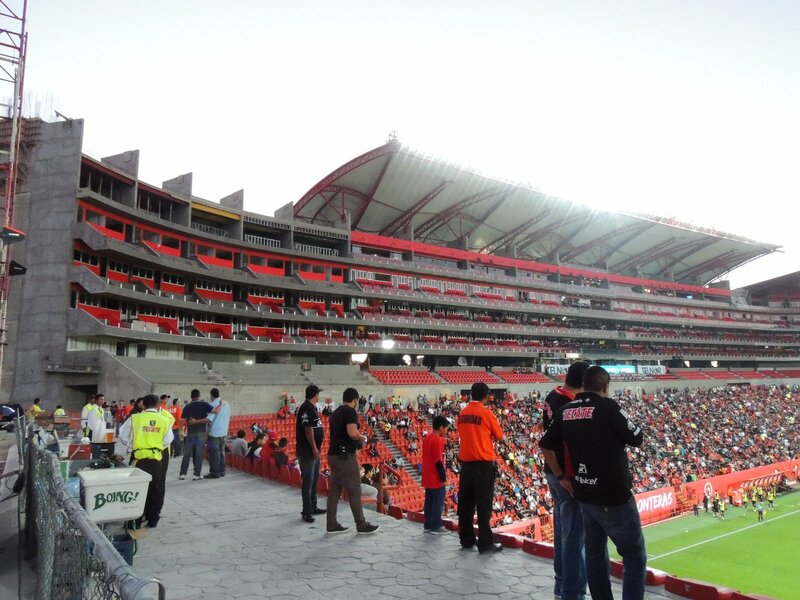 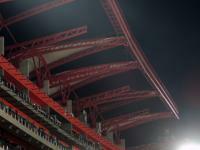 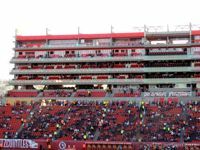 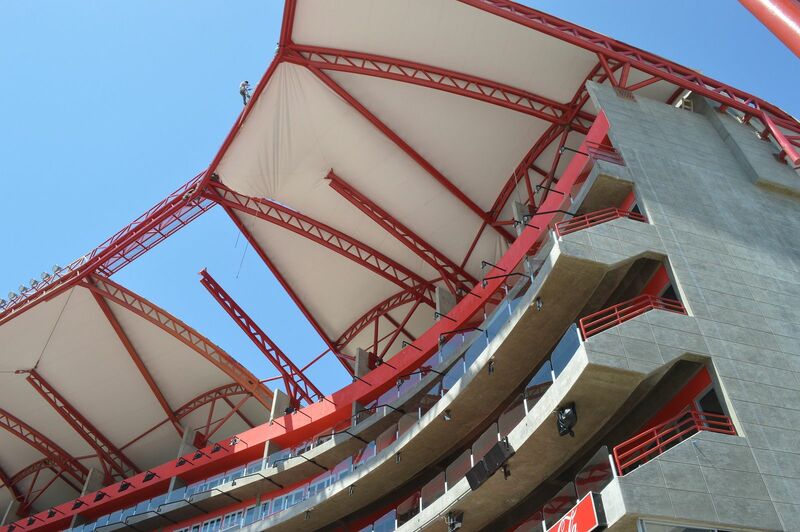 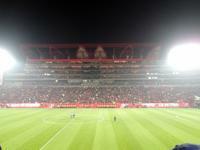 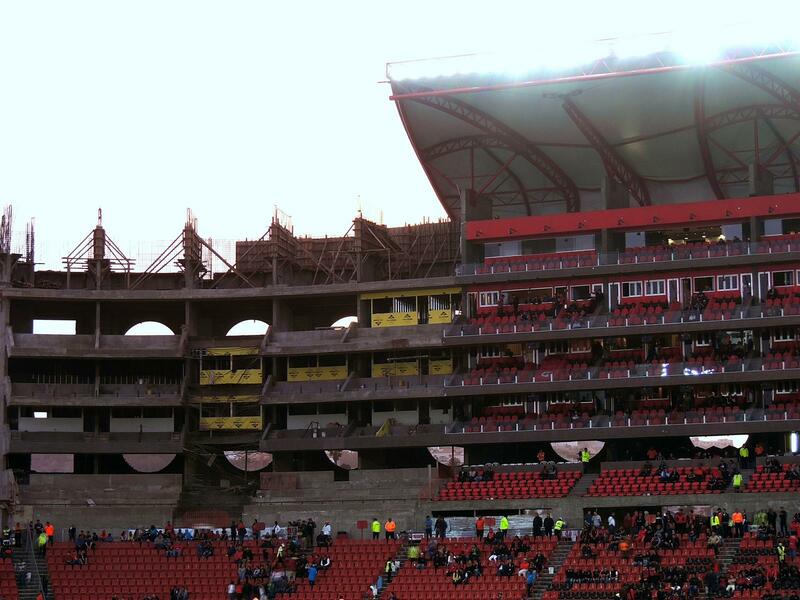 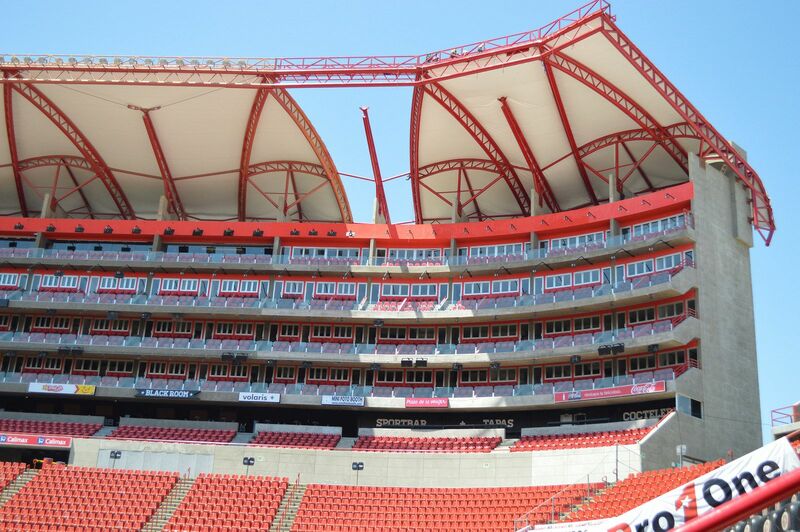 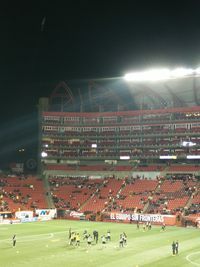 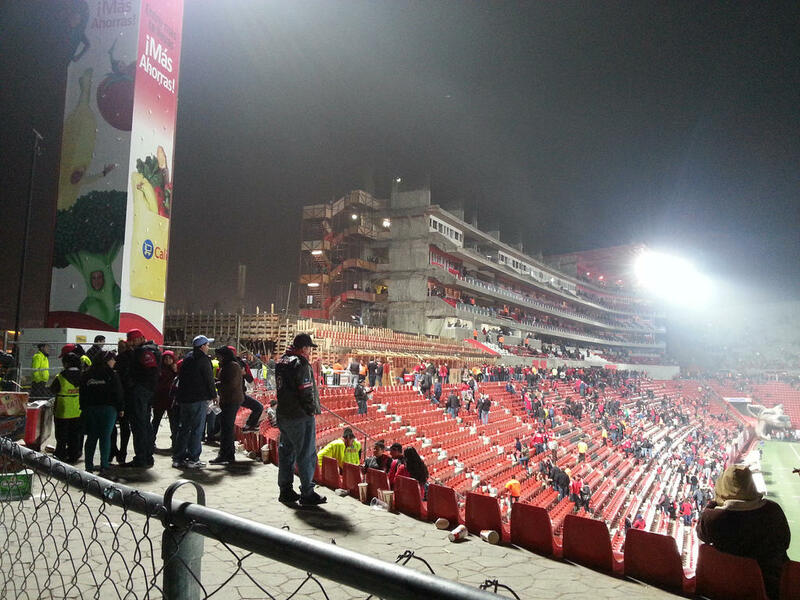 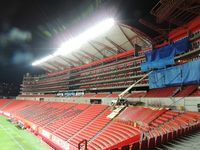 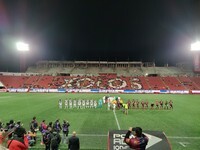 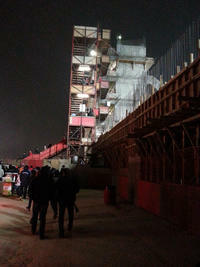 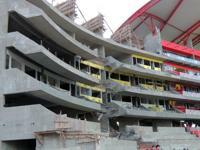 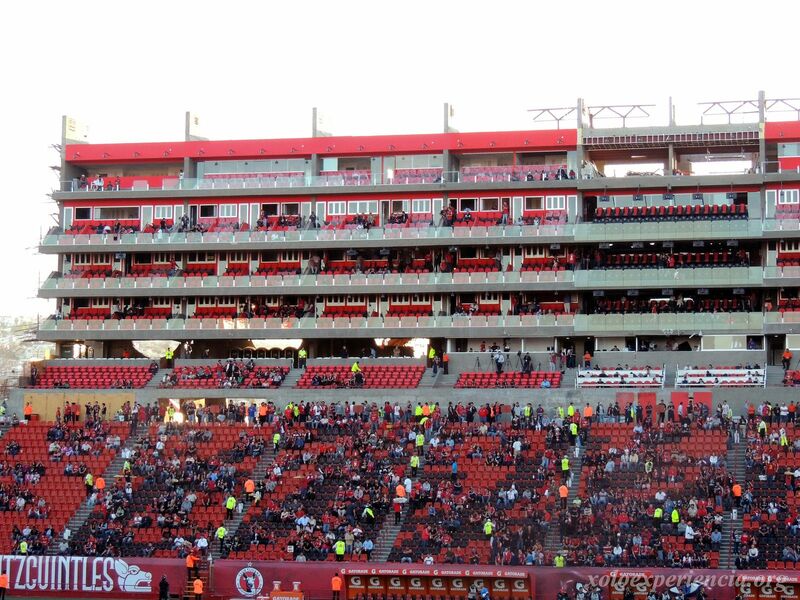 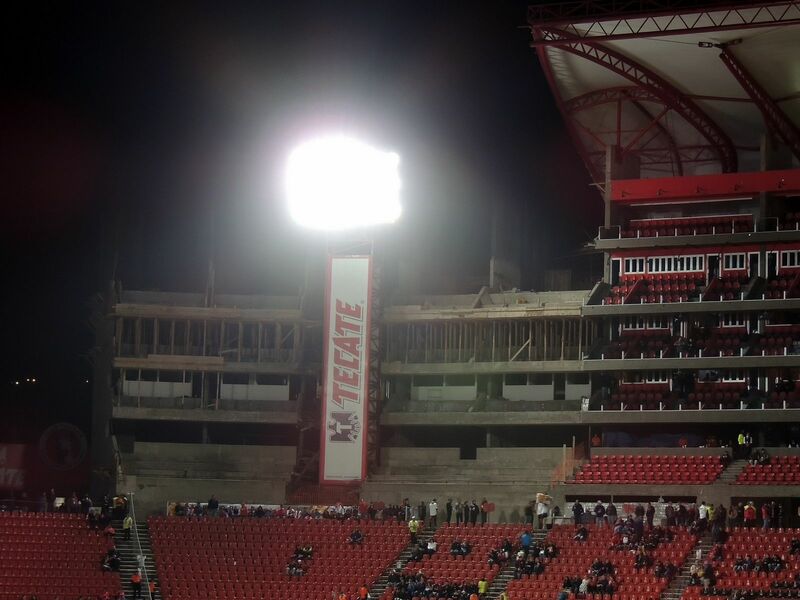 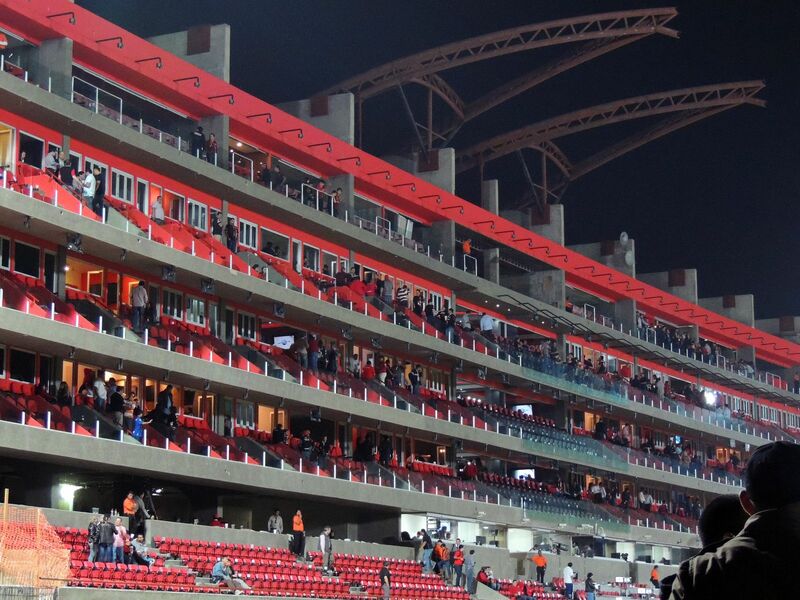 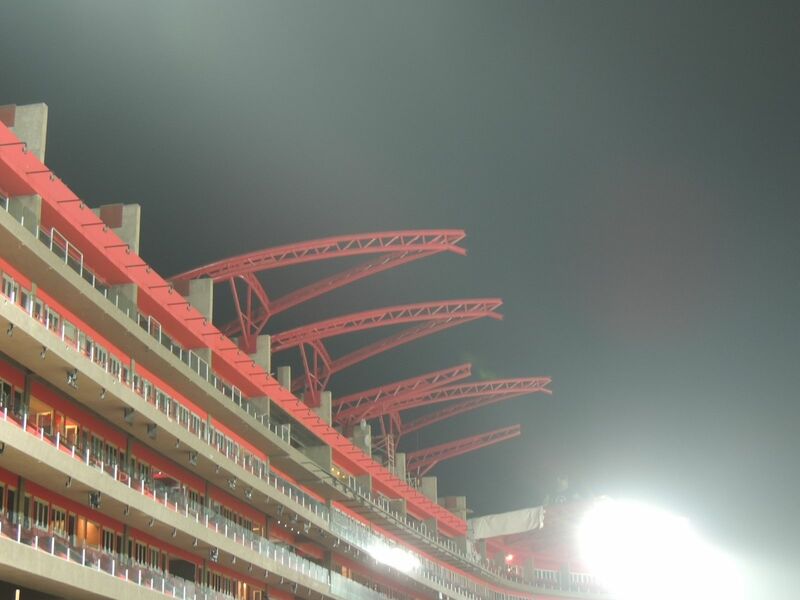 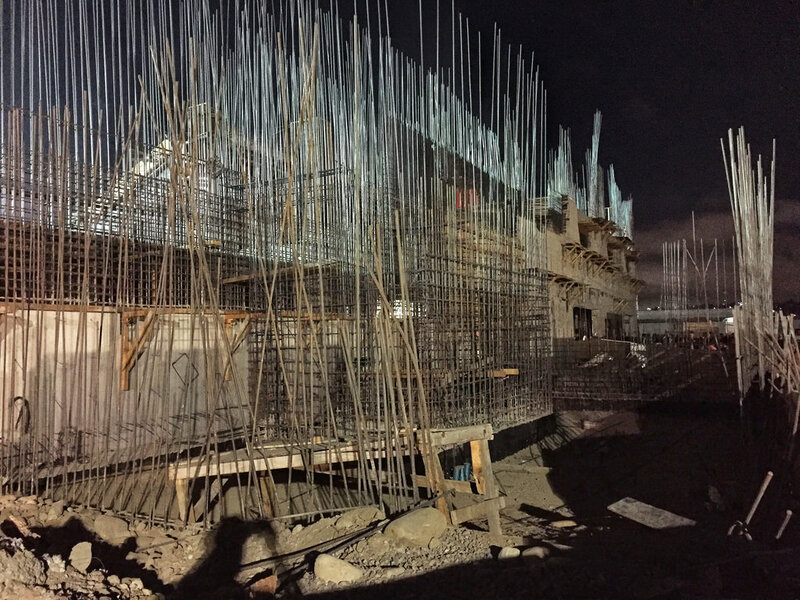 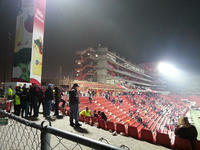 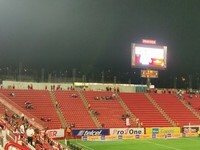 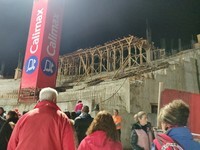 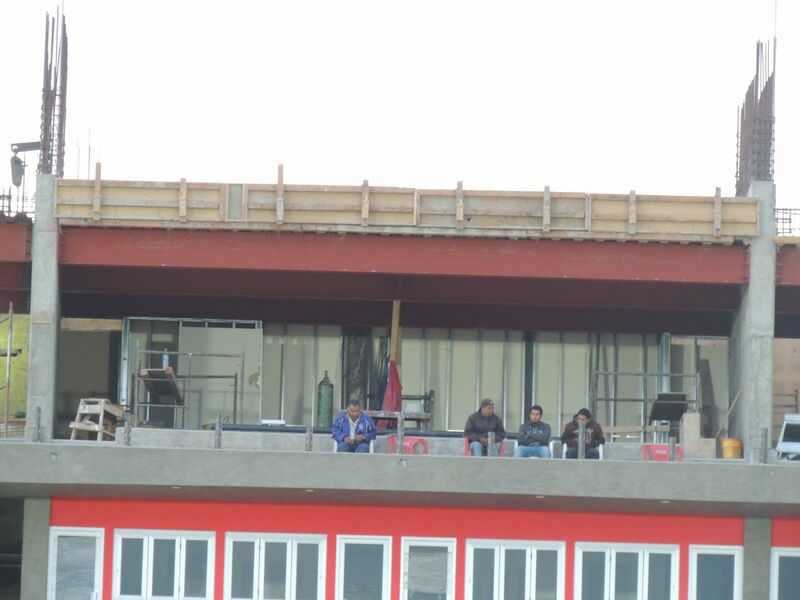 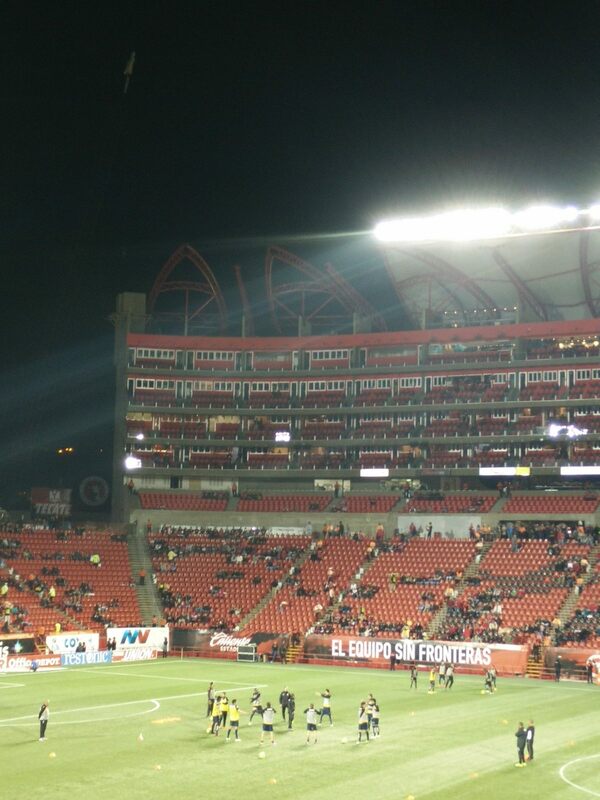 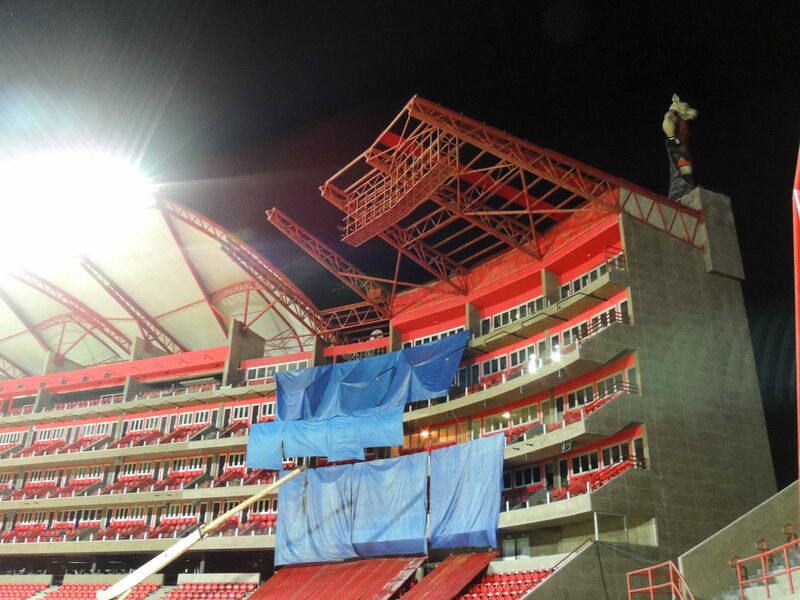 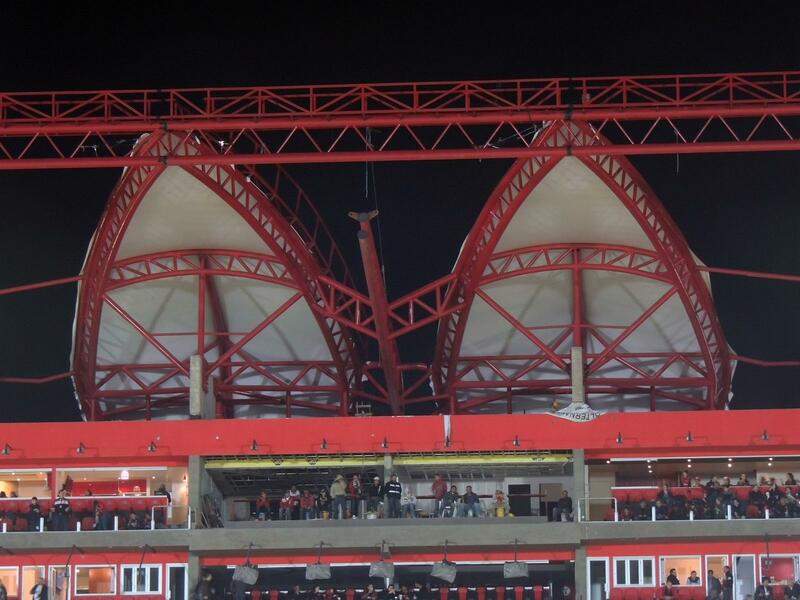 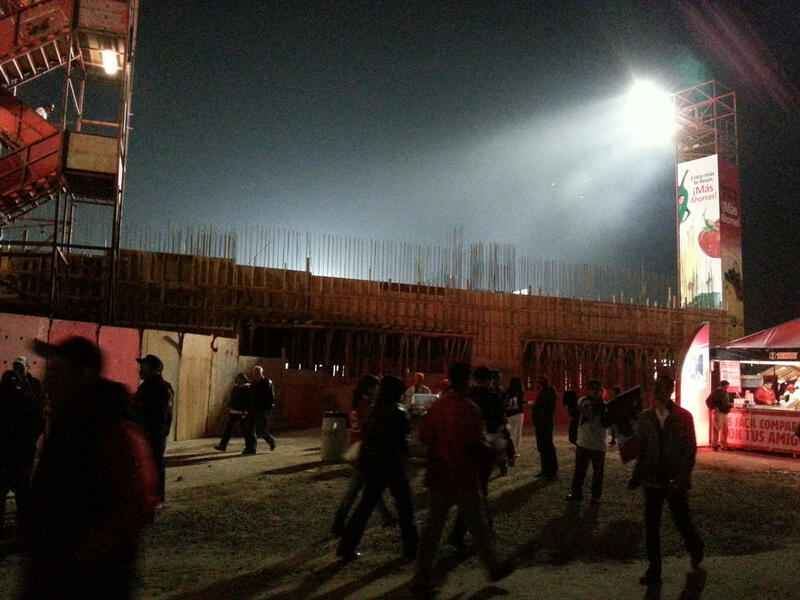 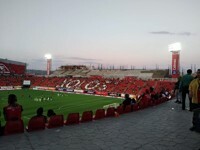 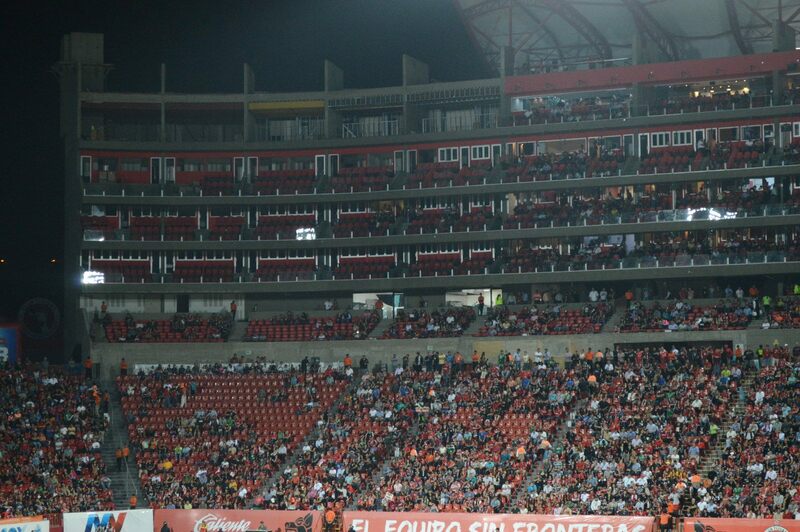 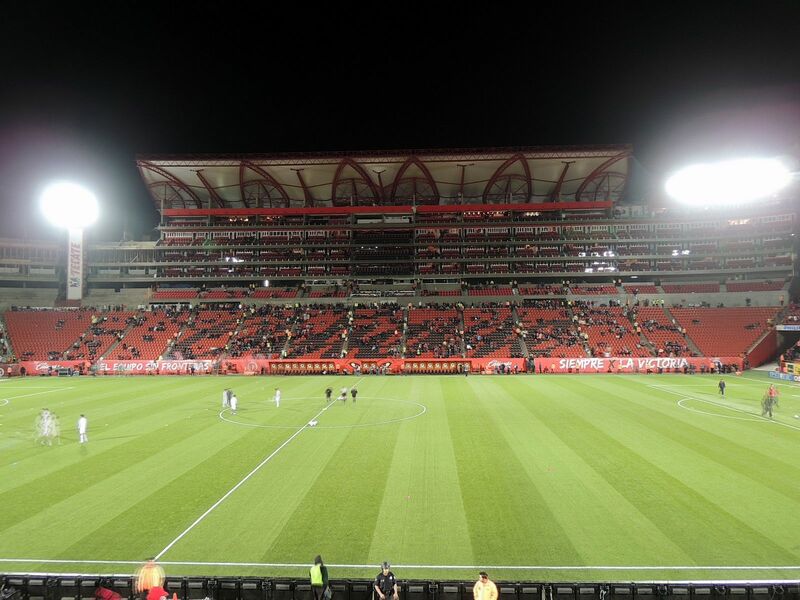 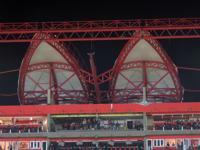 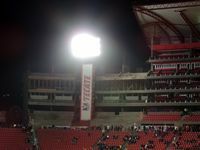 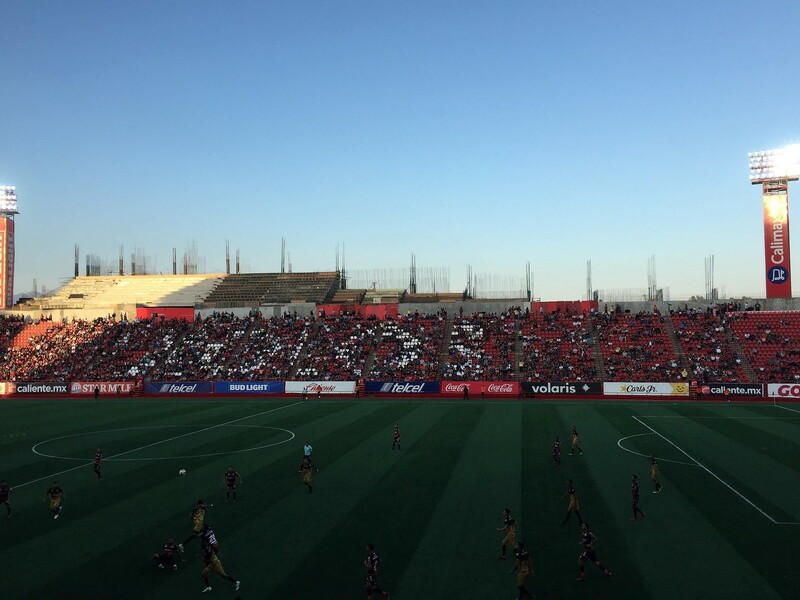 Above the seats, in north-western corner, club owner decided to build a tower of skyboxes. 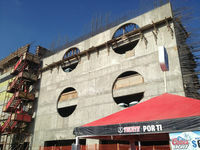 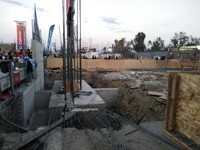 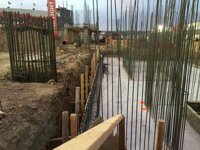 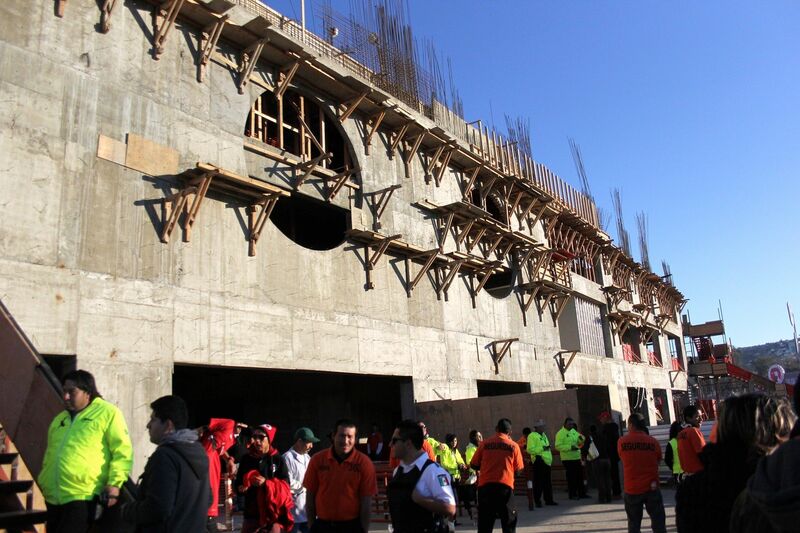 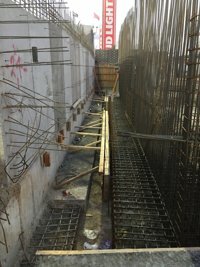 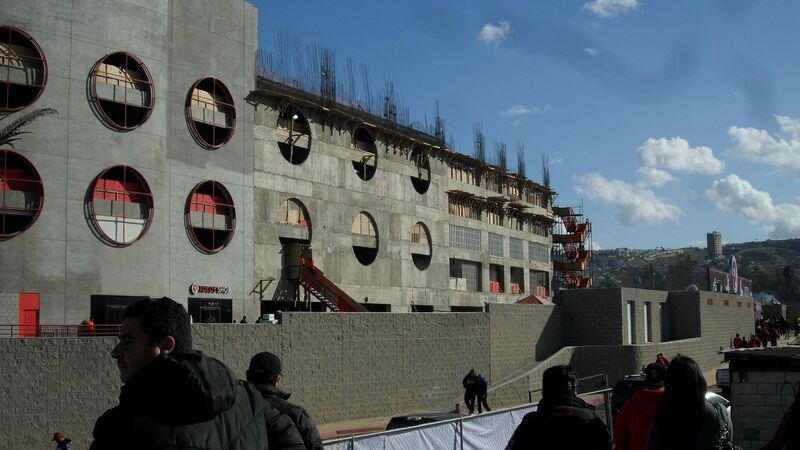 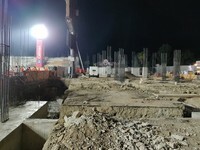 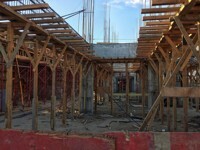 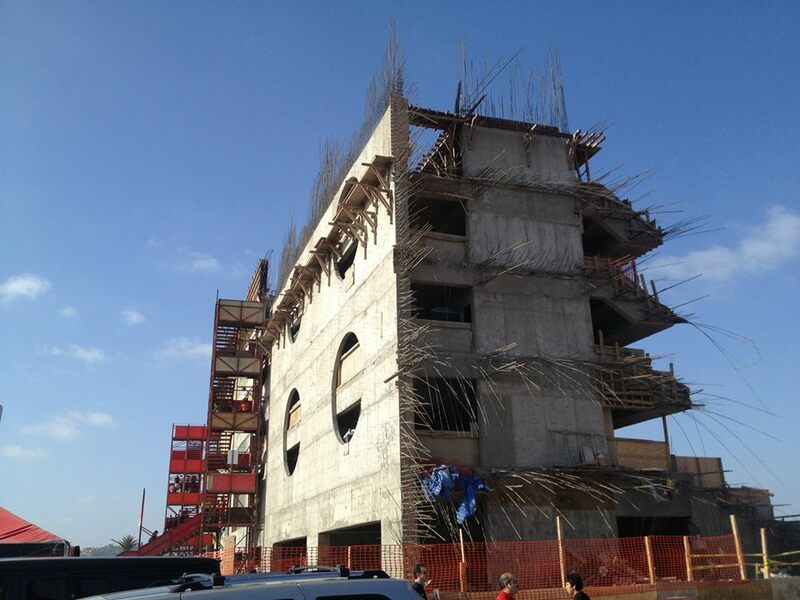 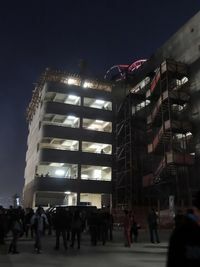 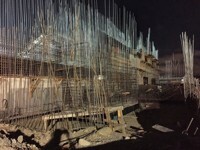 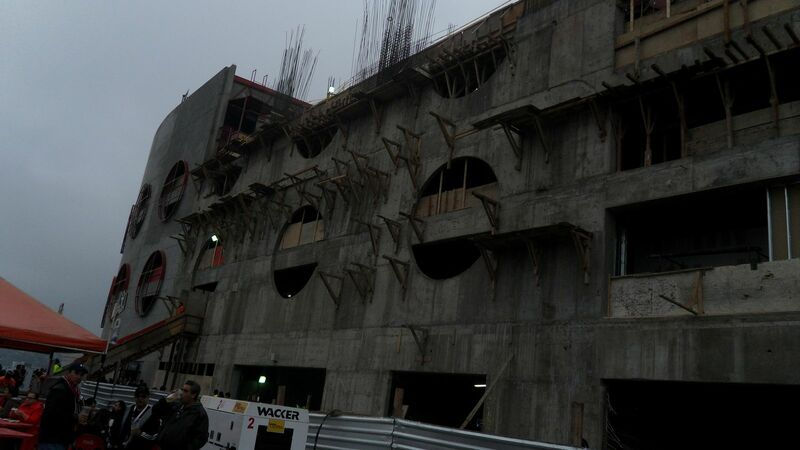 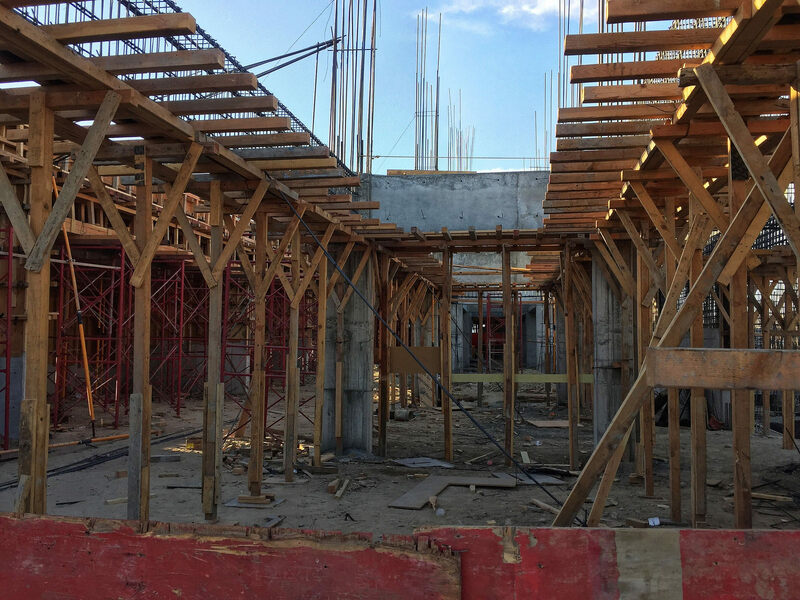 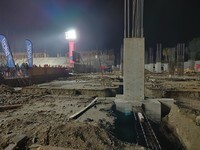 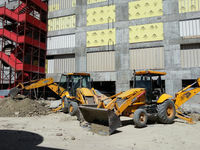 The 5-floor structure was ready in 2011, with foundations for a similar structure in north-eastern edge also in place. 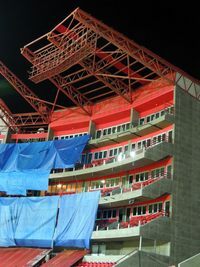 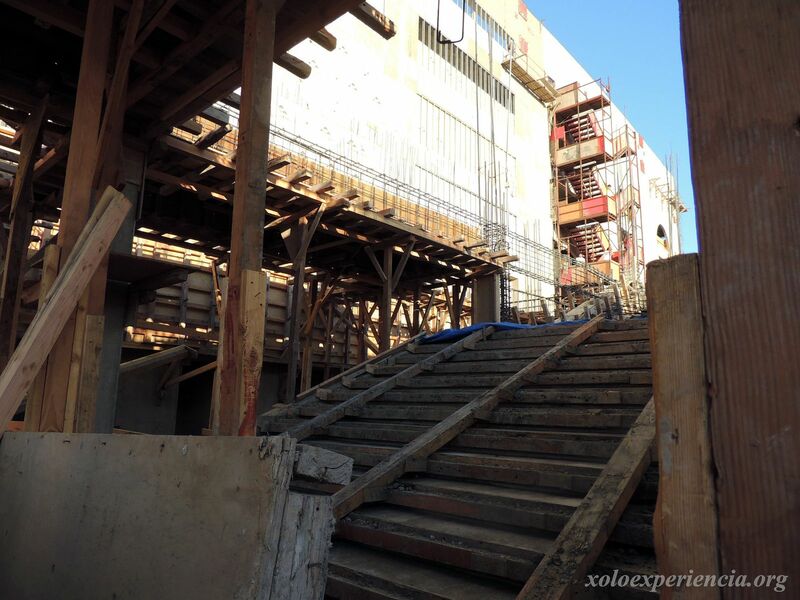 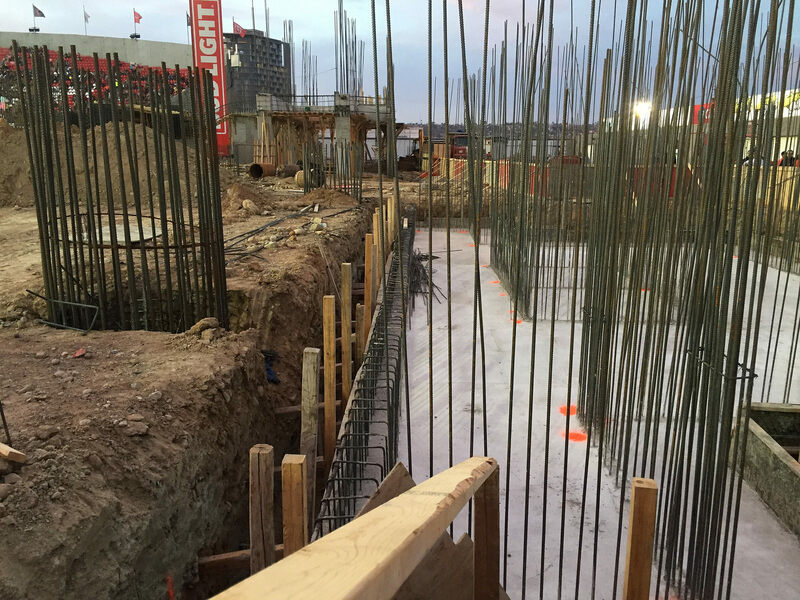 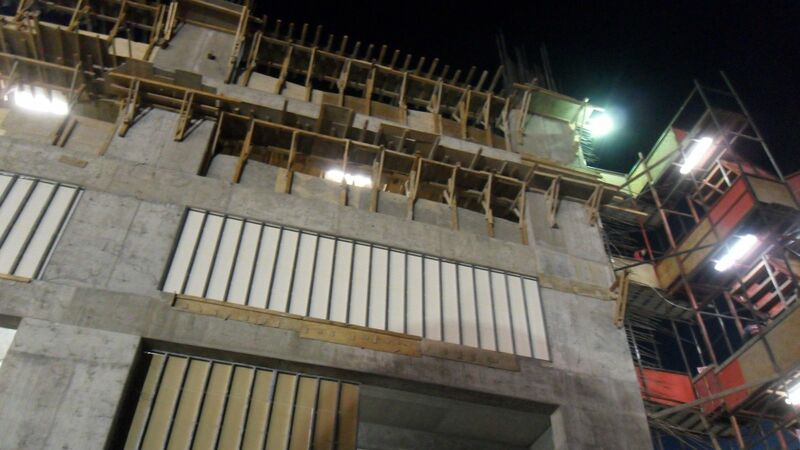 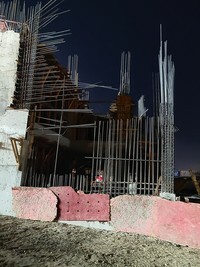 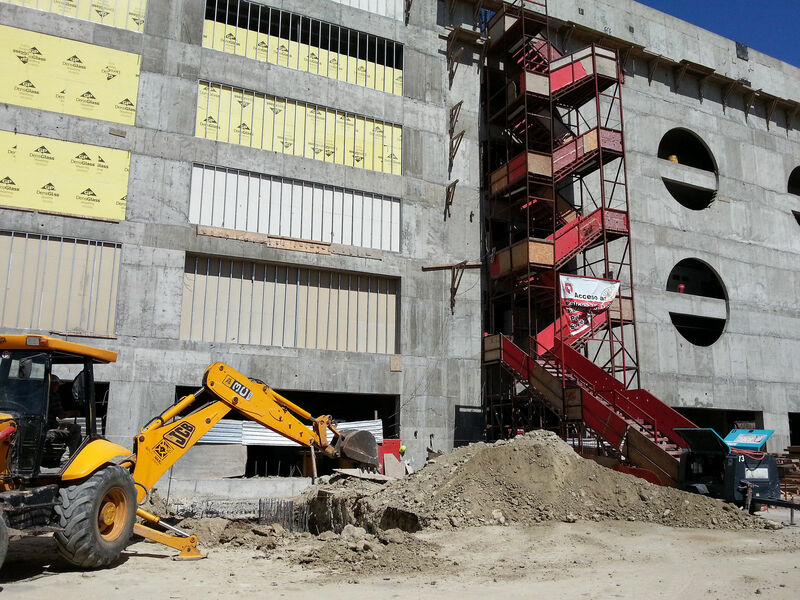 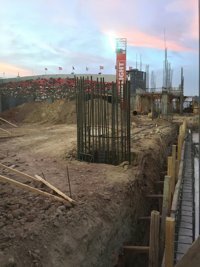 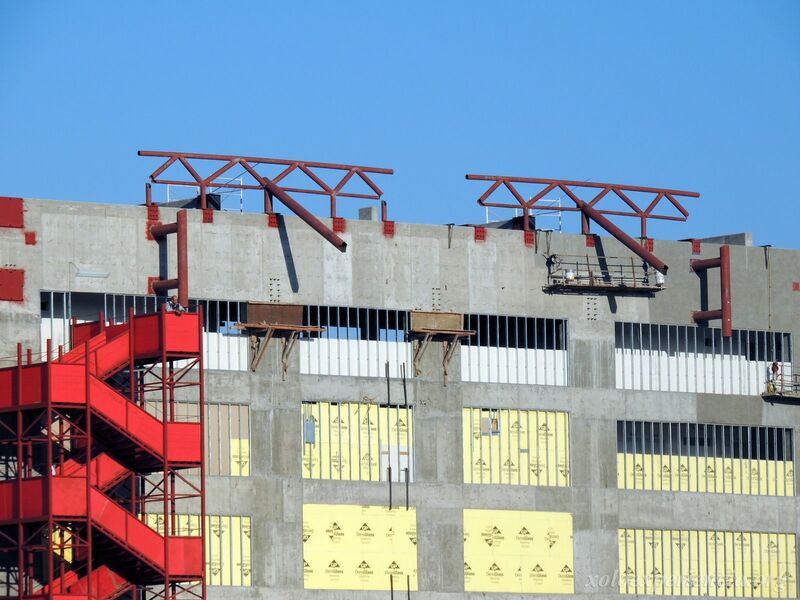 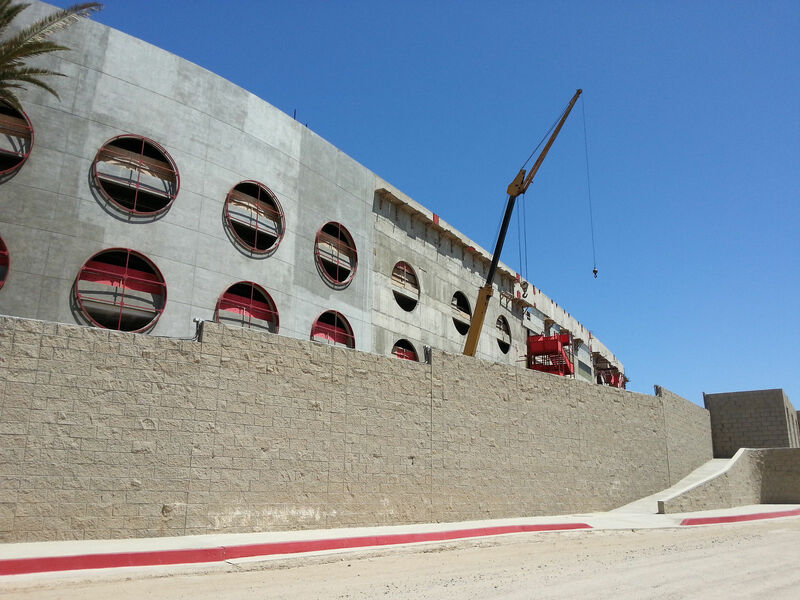 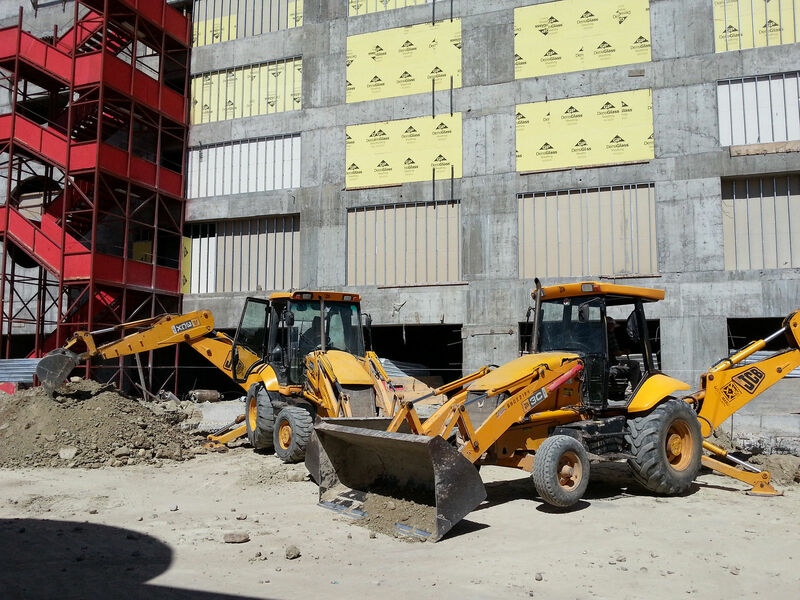 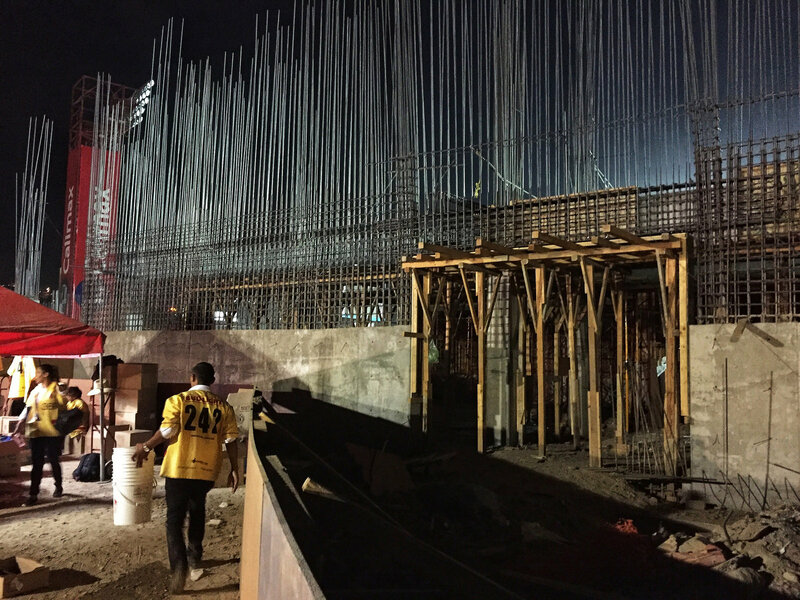 In early 2012 a second tier started growing over the newest, northern end. 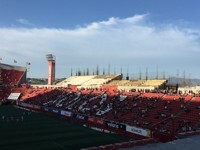 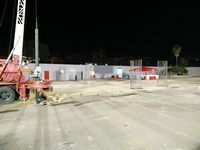 A massive terrace behind the goal was opened in summer 2012, allowing for works to move west, where additional skyboxes are being built to eventually conjoin with the lone tower in 2013. 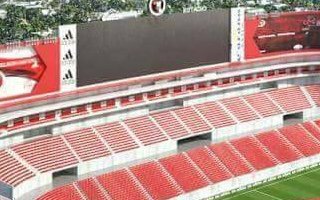 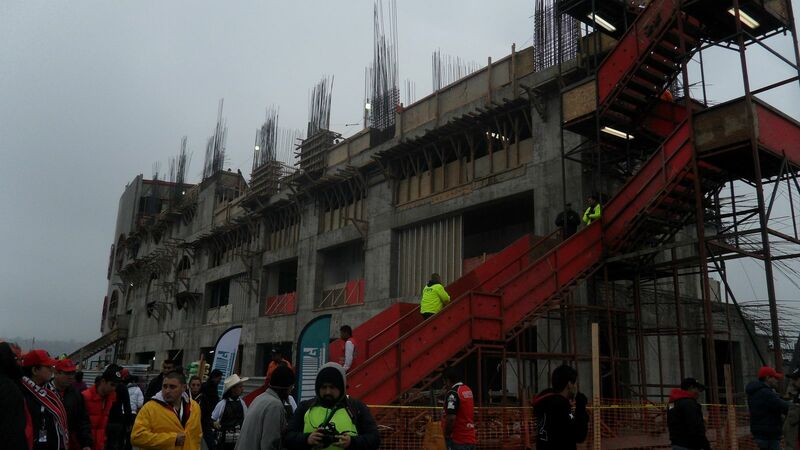 When done, the stadium is to have skyboxes on both sides of the pitch, and 2nd tier terracing on both ends. 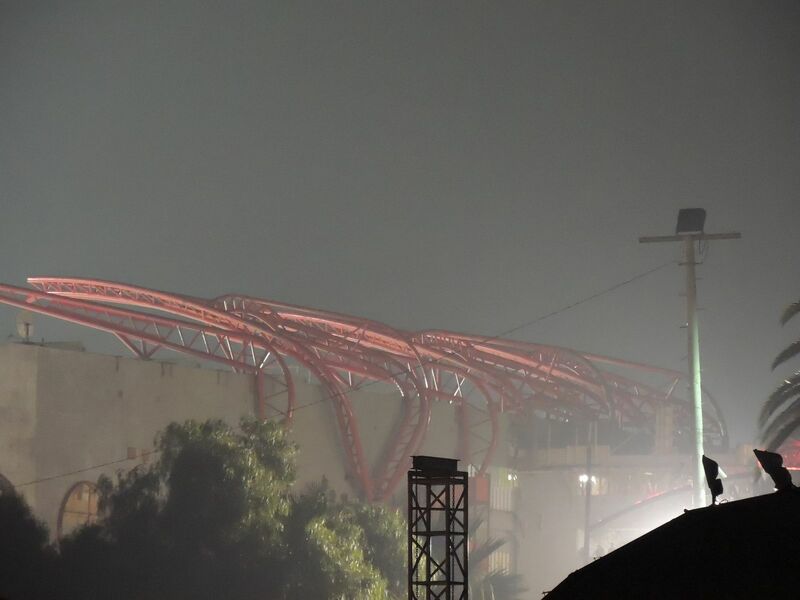 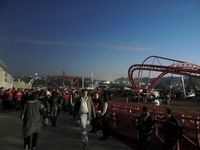 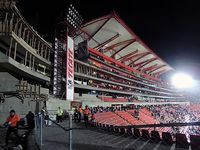 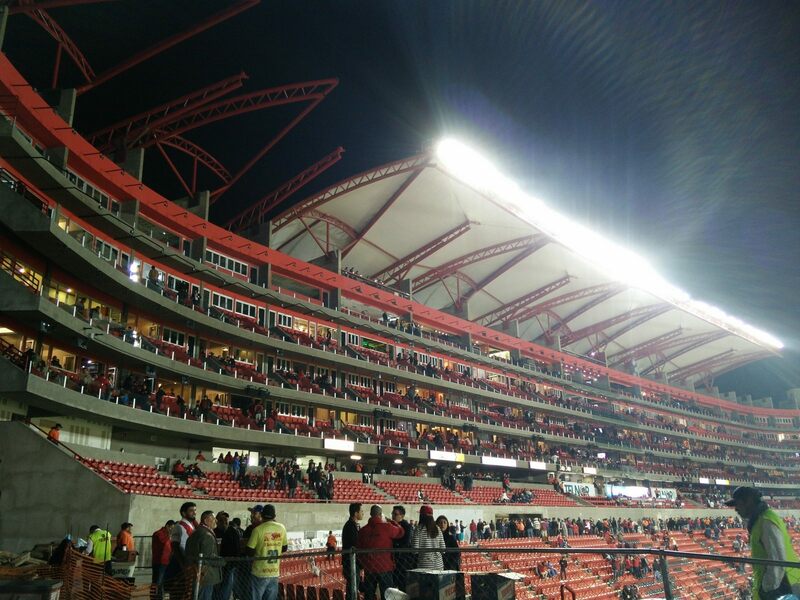 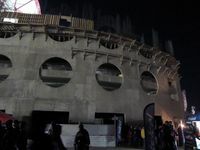 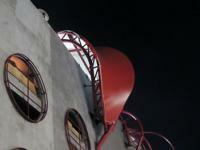 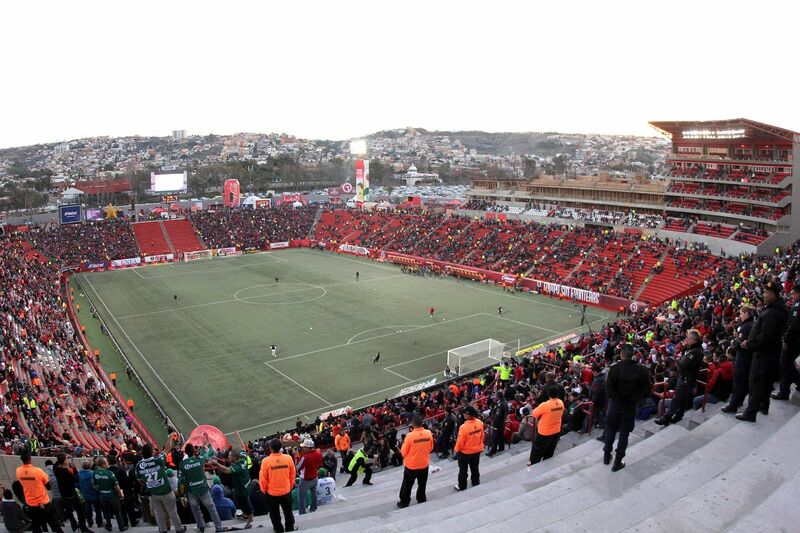 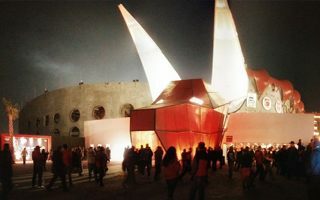 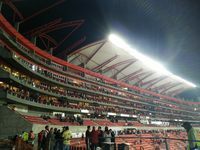 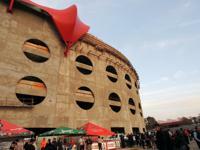 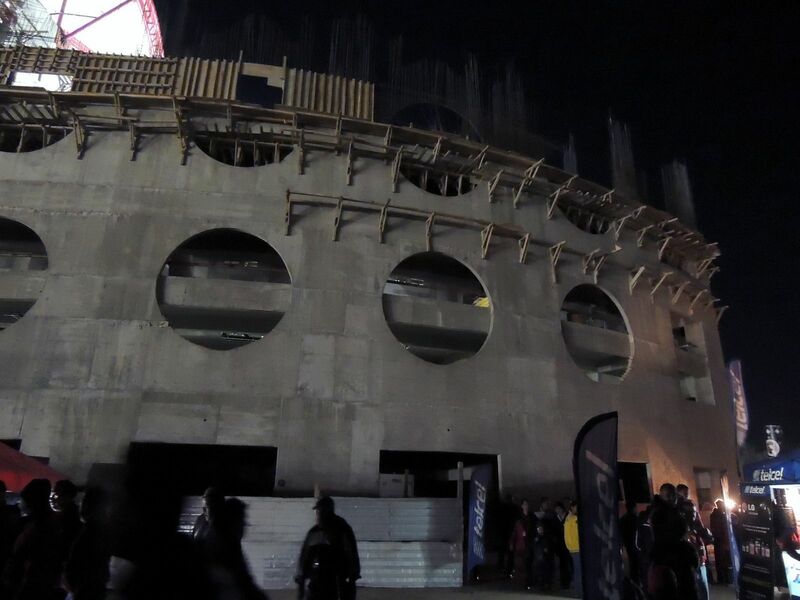 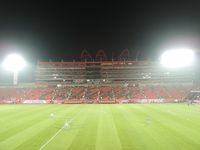 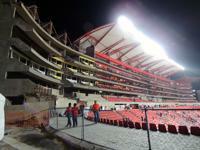 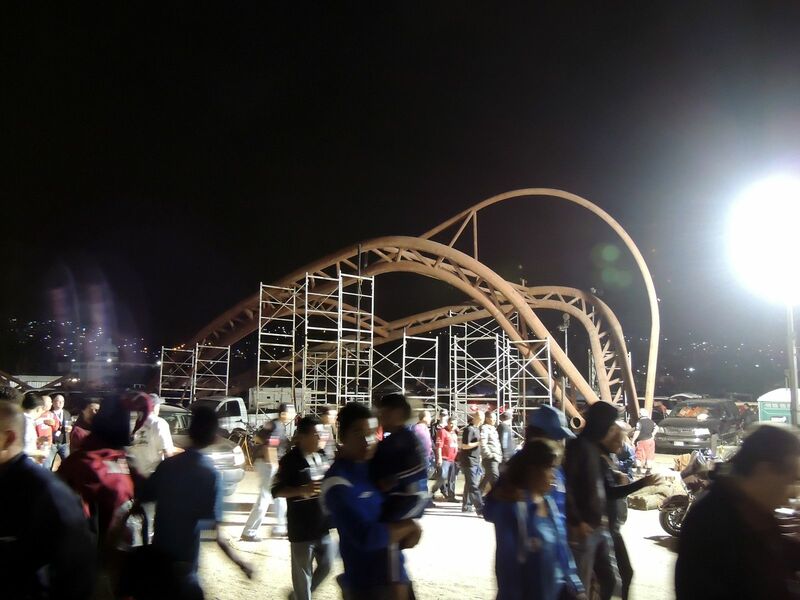 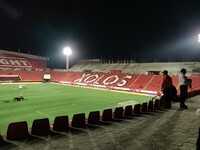 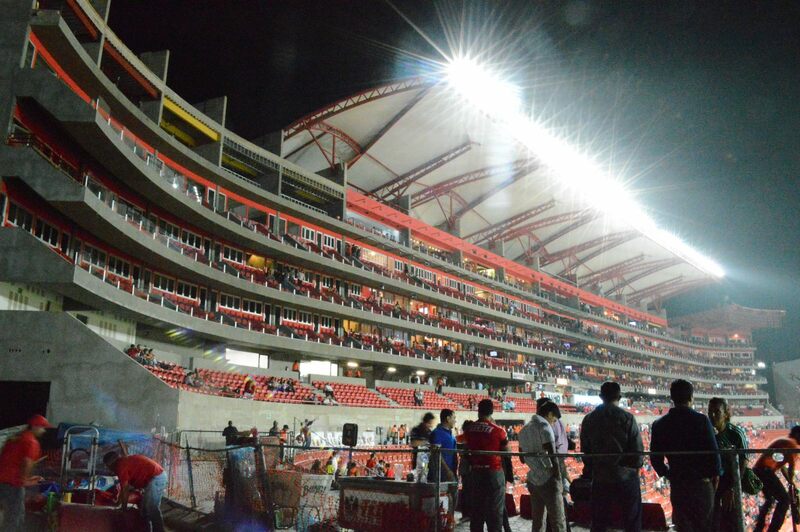 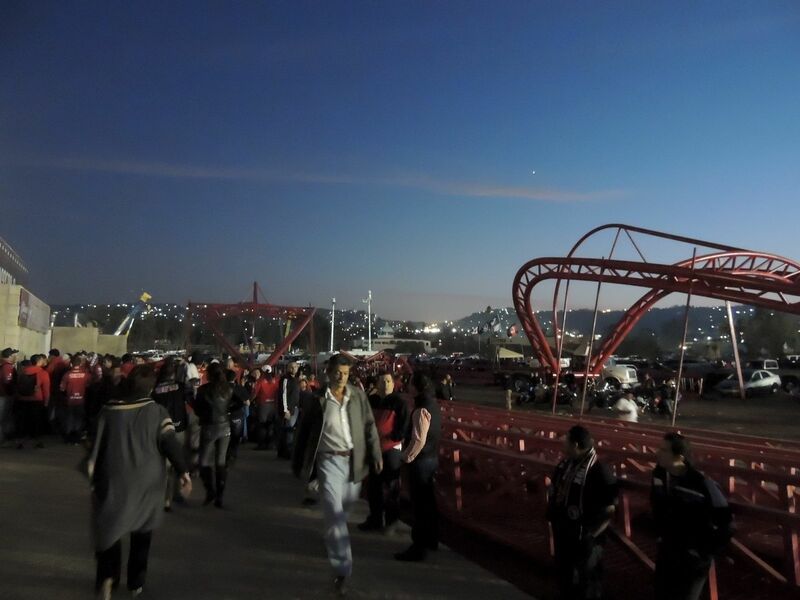 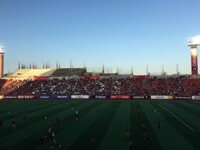 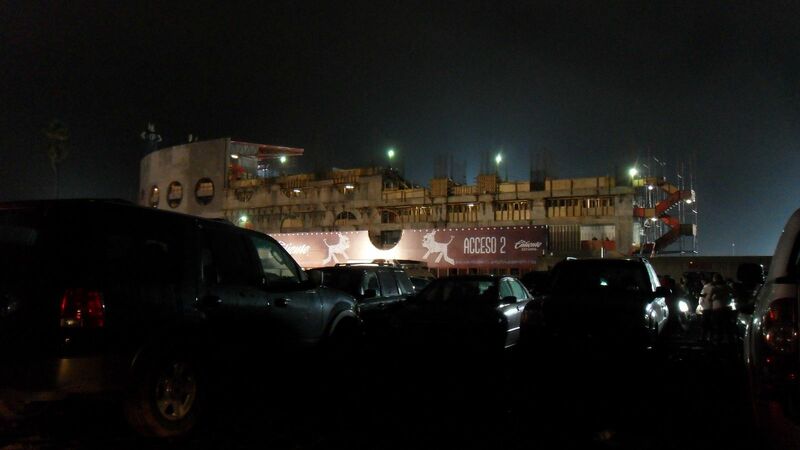 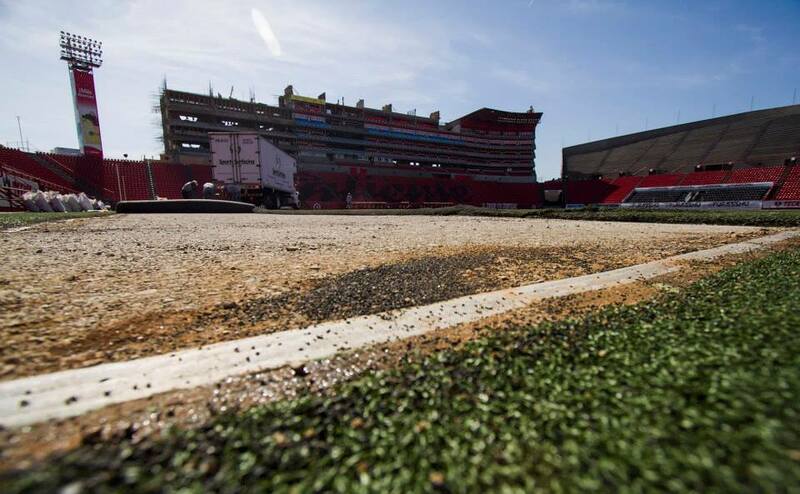 Capacity is expected to reach 33,333 people, with rumours giving it even 40,000. 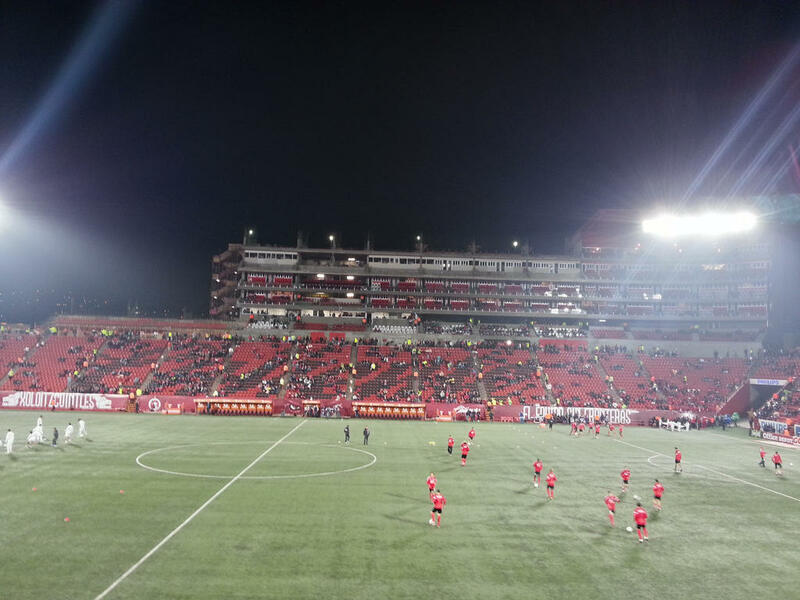 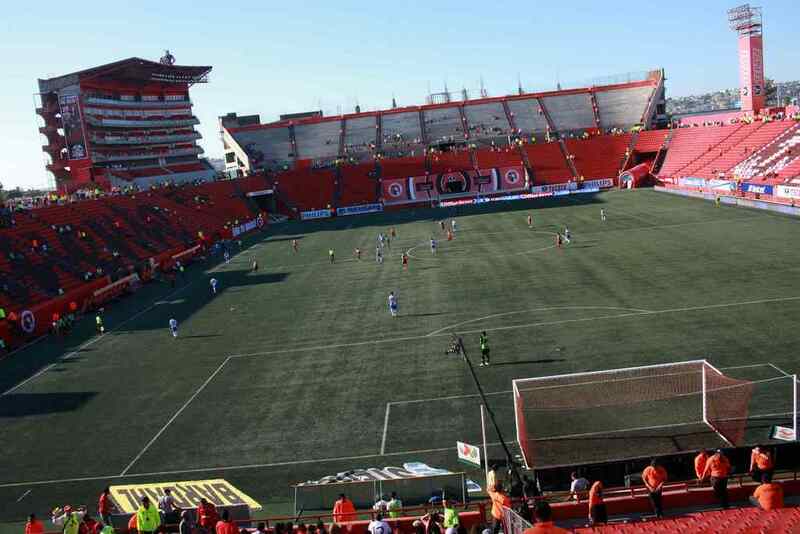 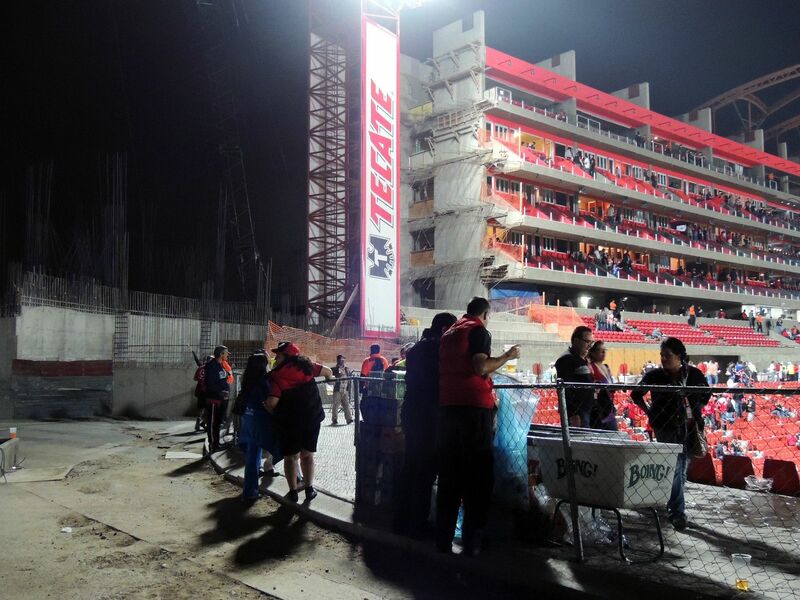 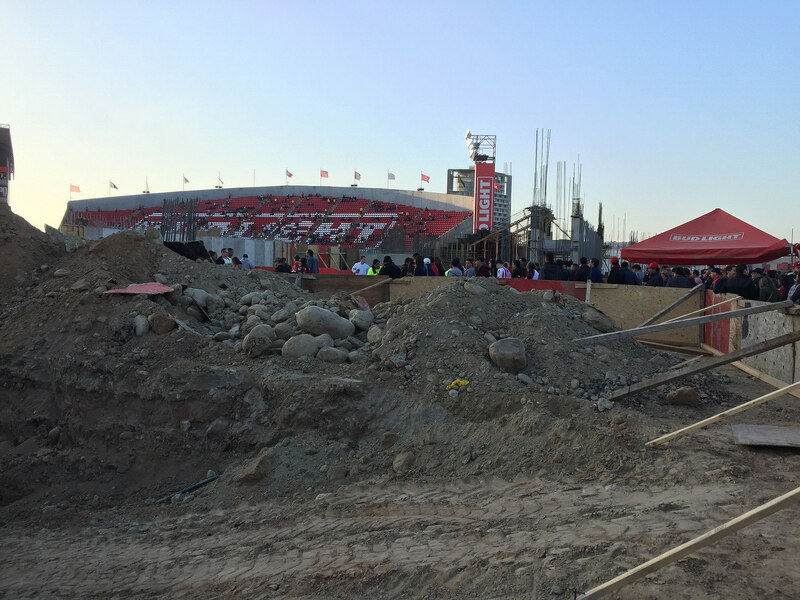 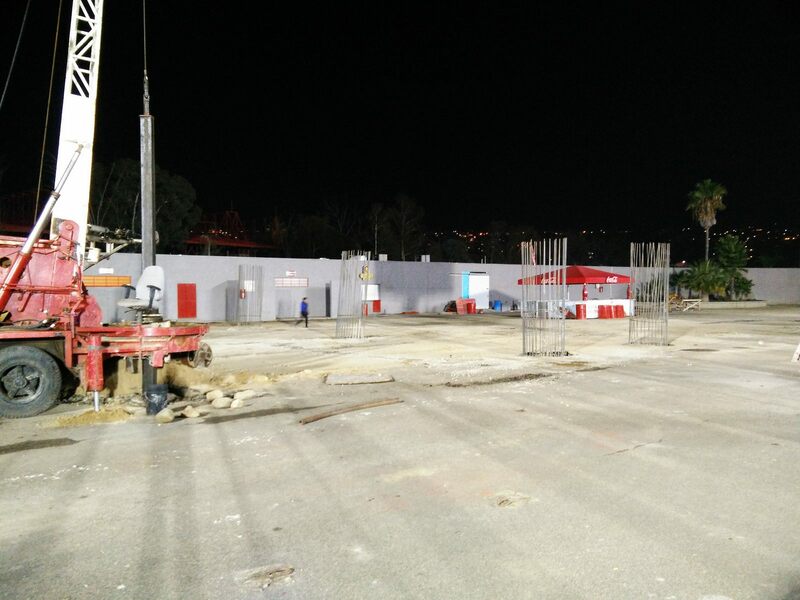 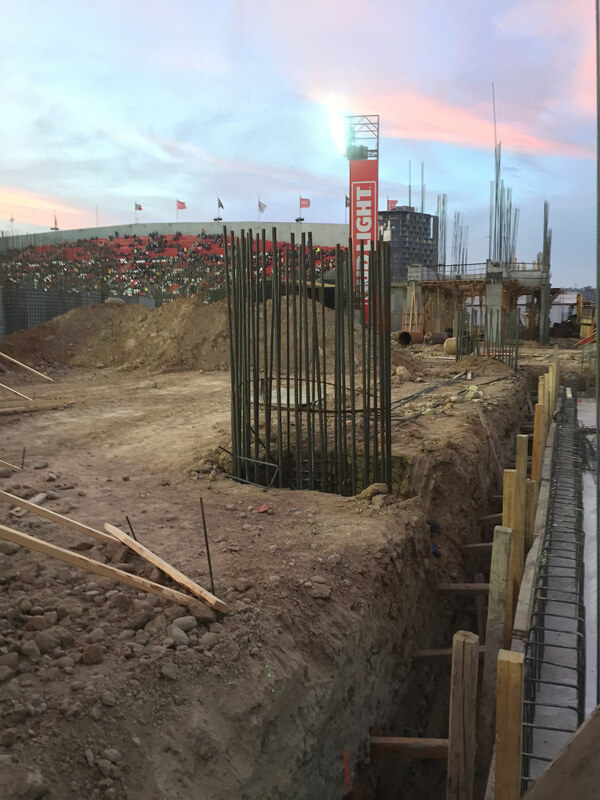 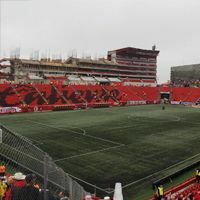 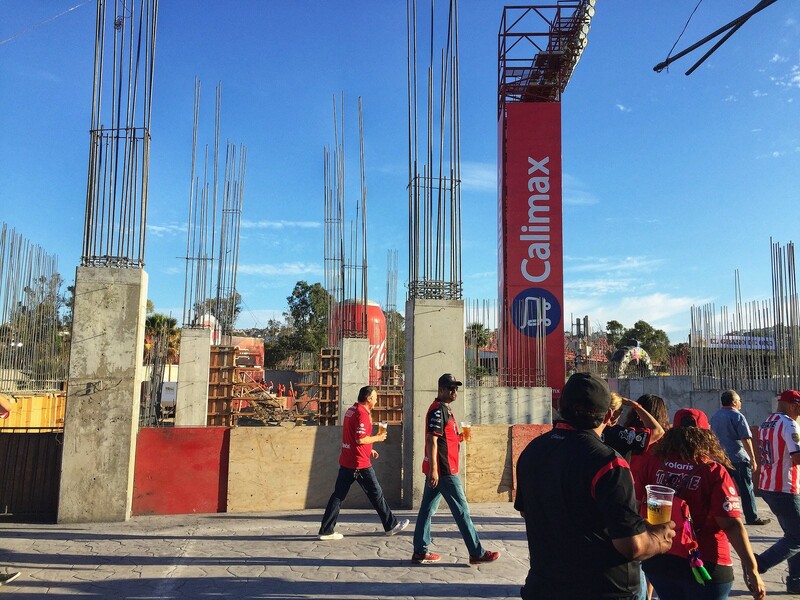 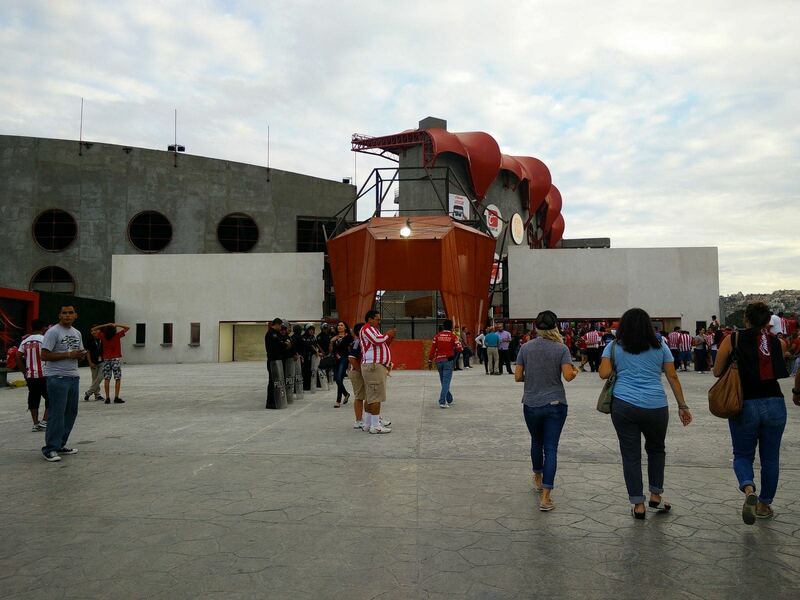 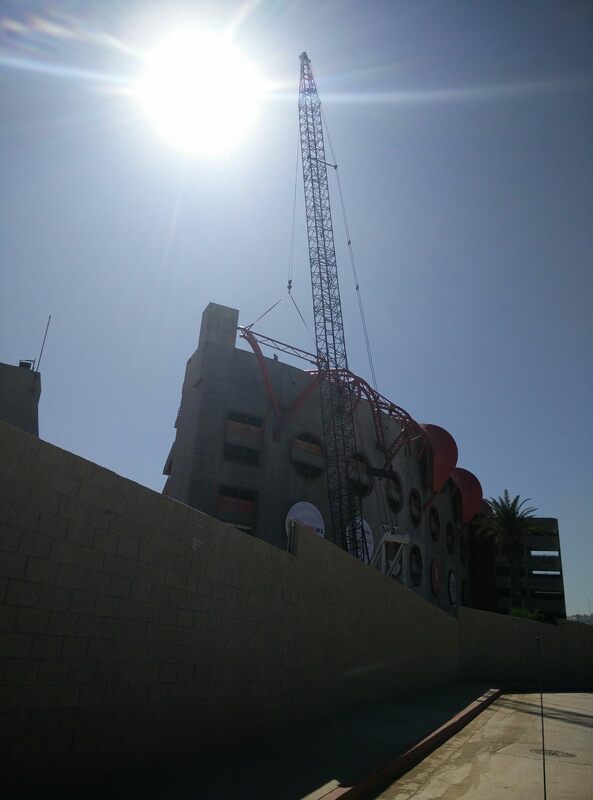 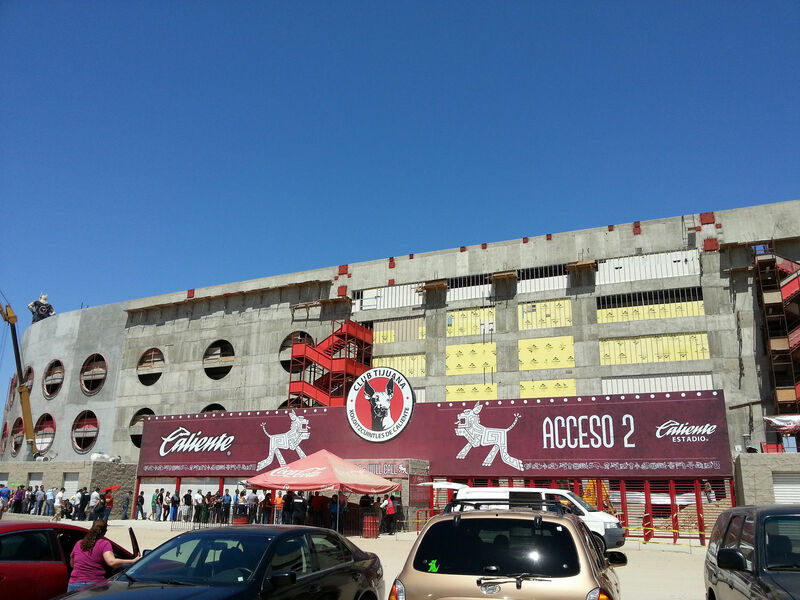 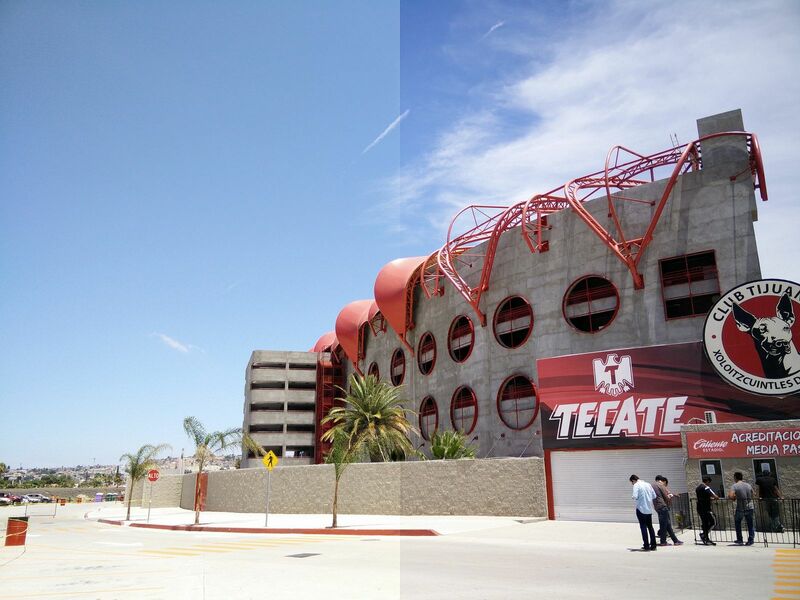 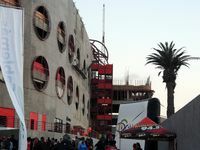 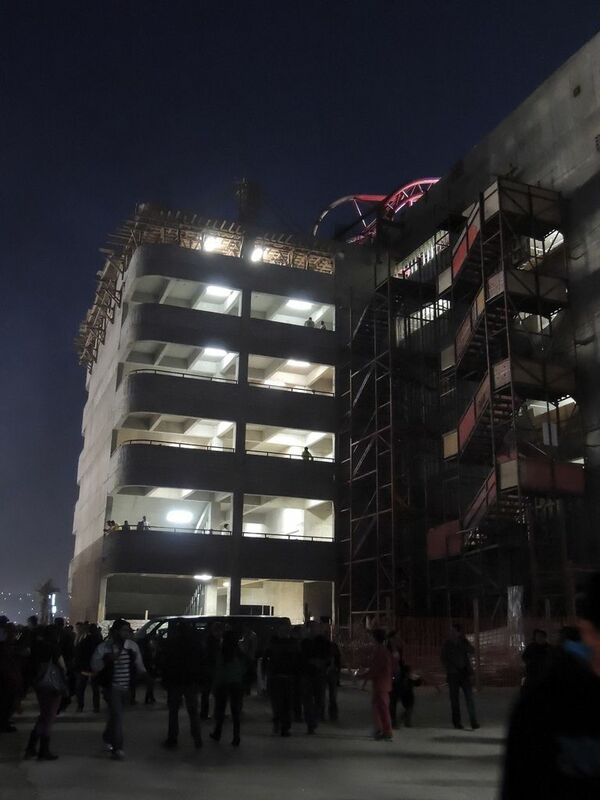 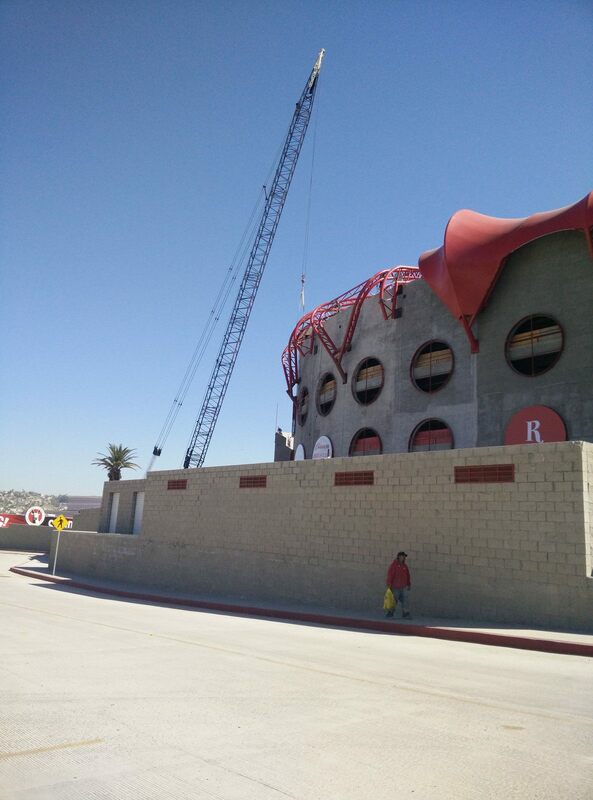 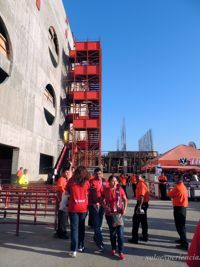 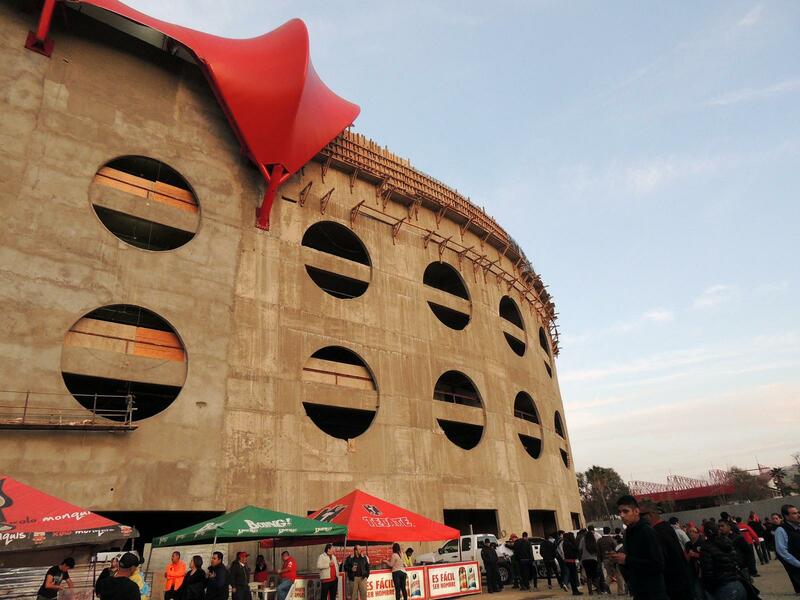 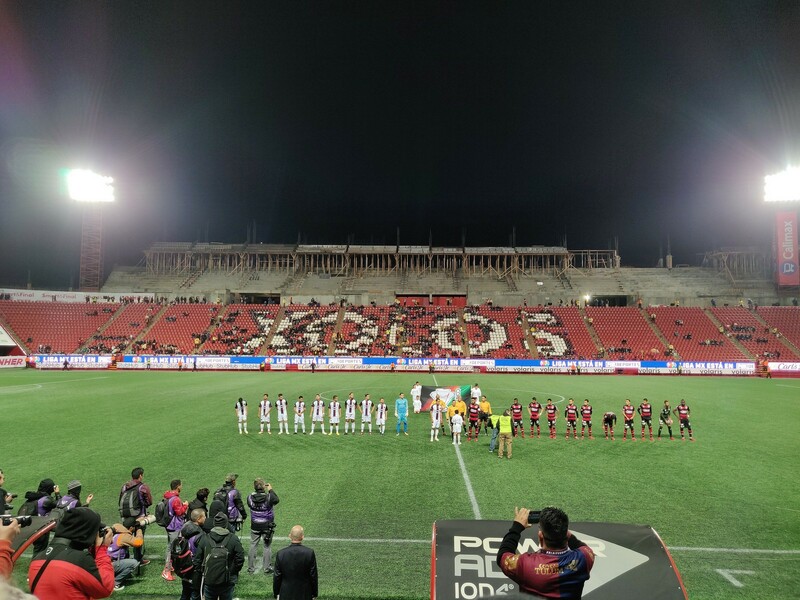 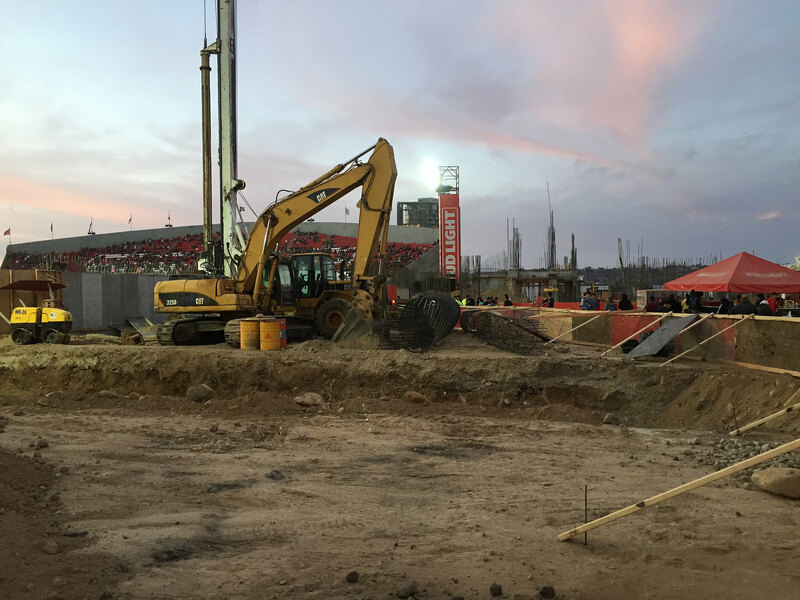 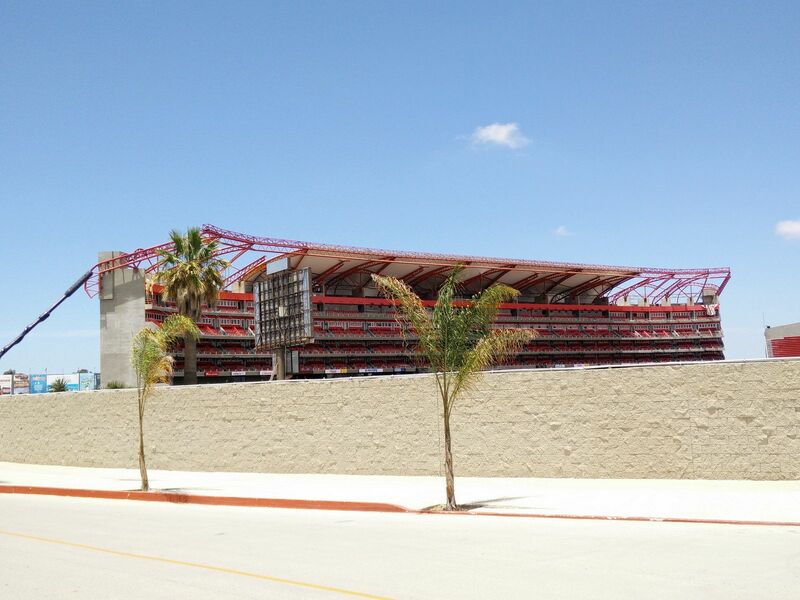 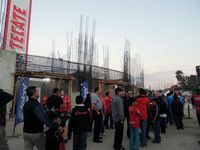 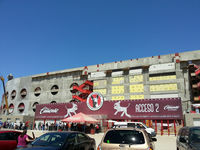 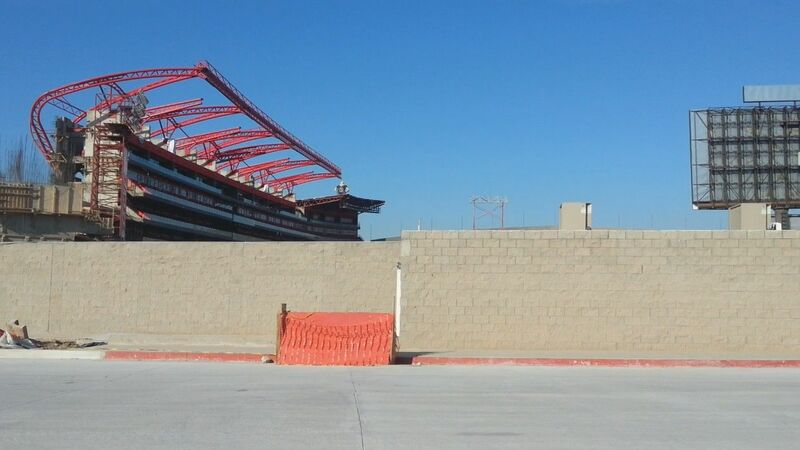 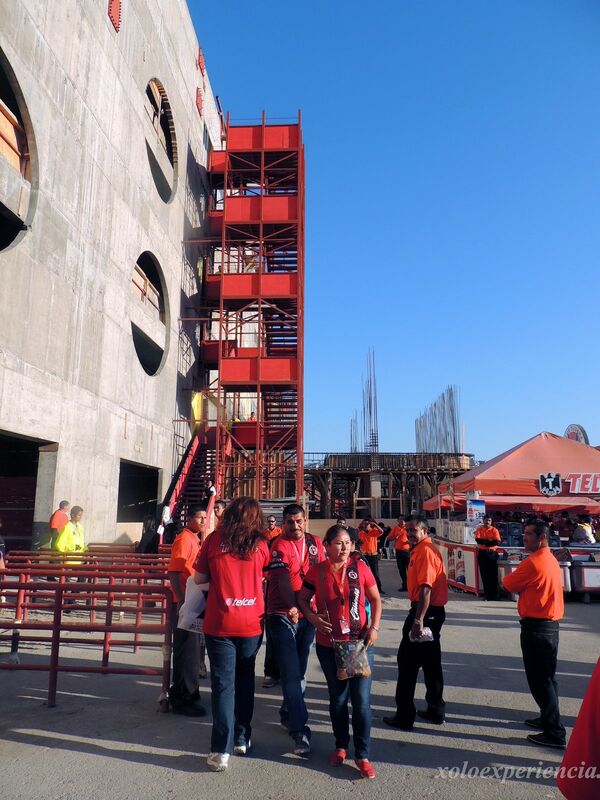 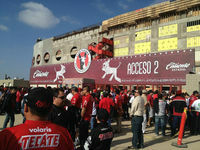 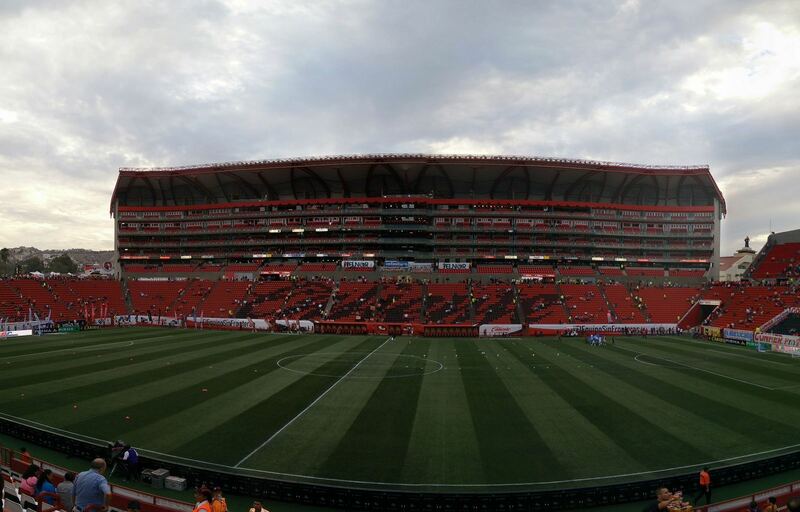 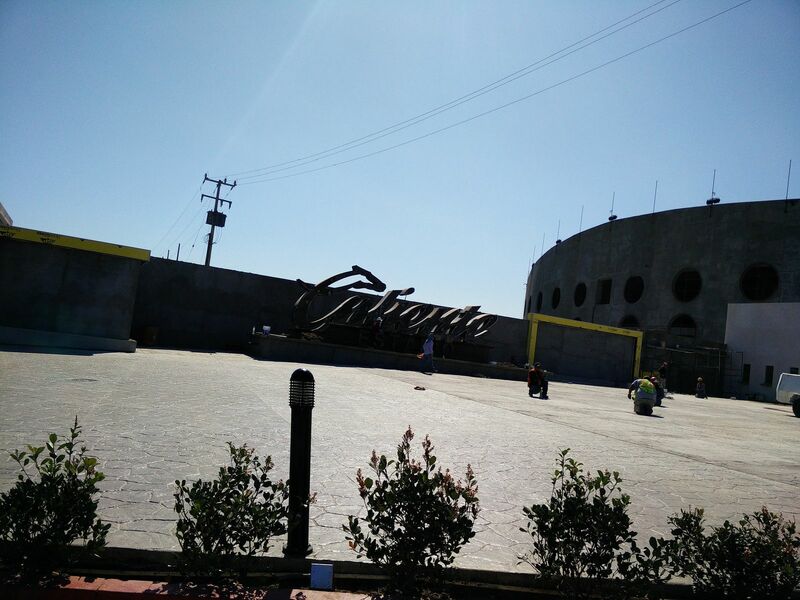 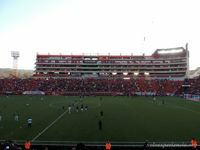 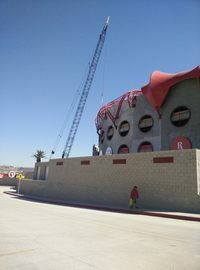 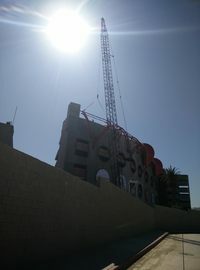 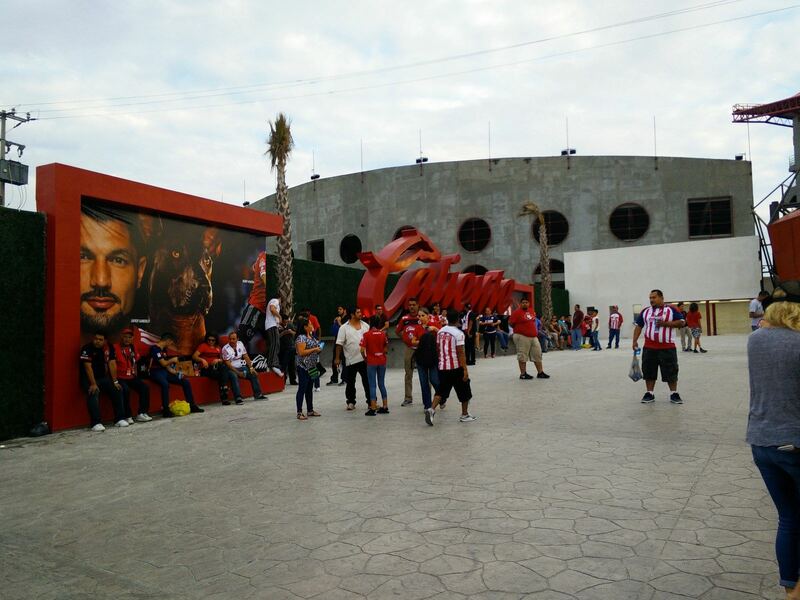 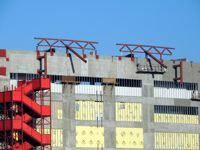 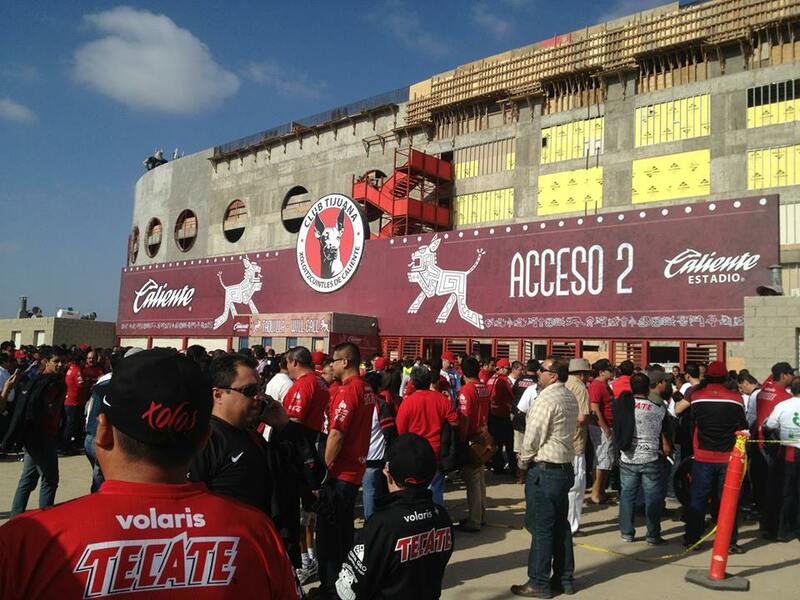 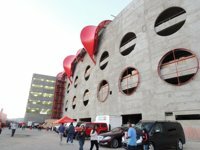 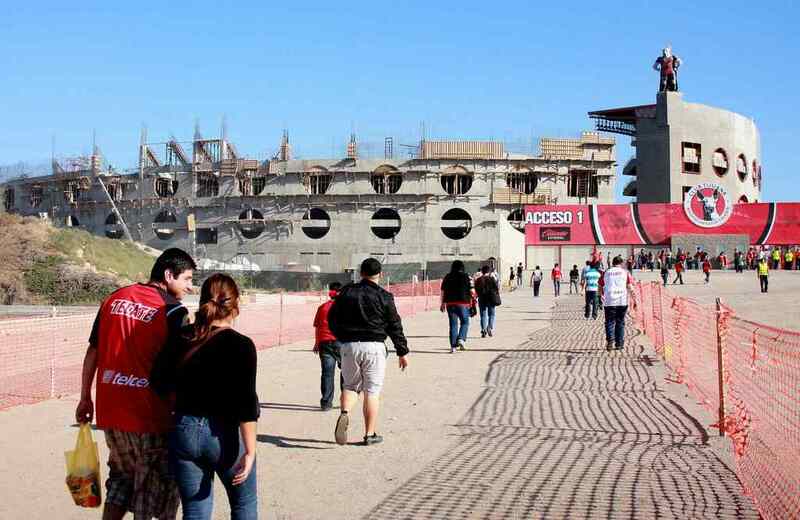 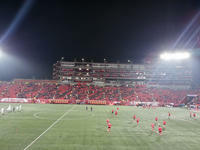 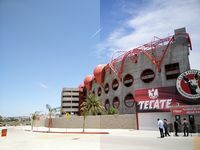 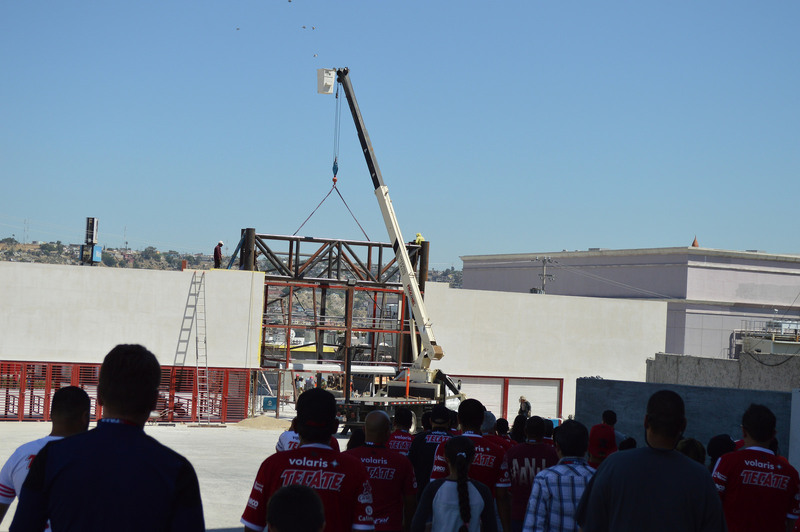 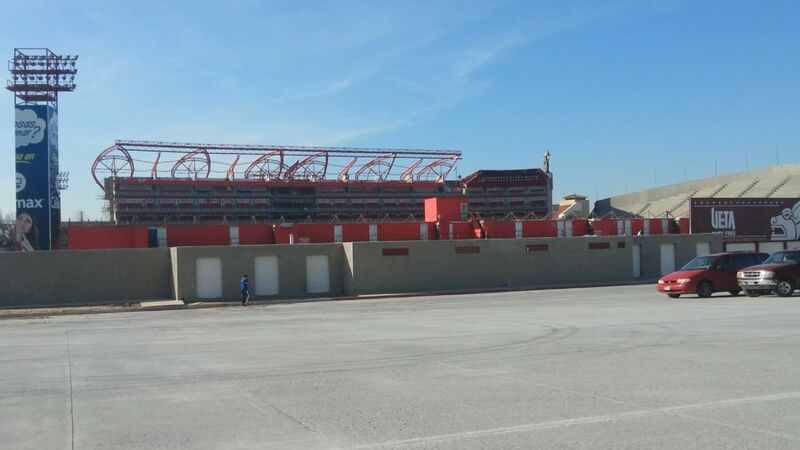 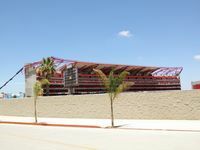 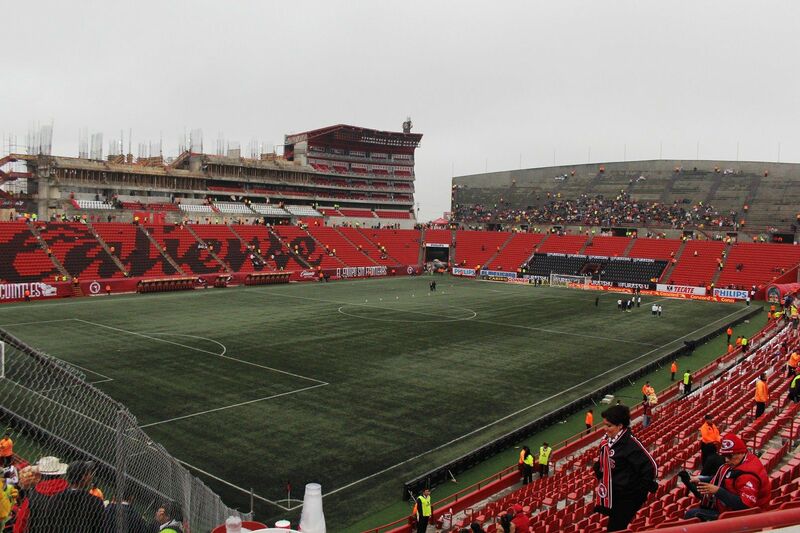 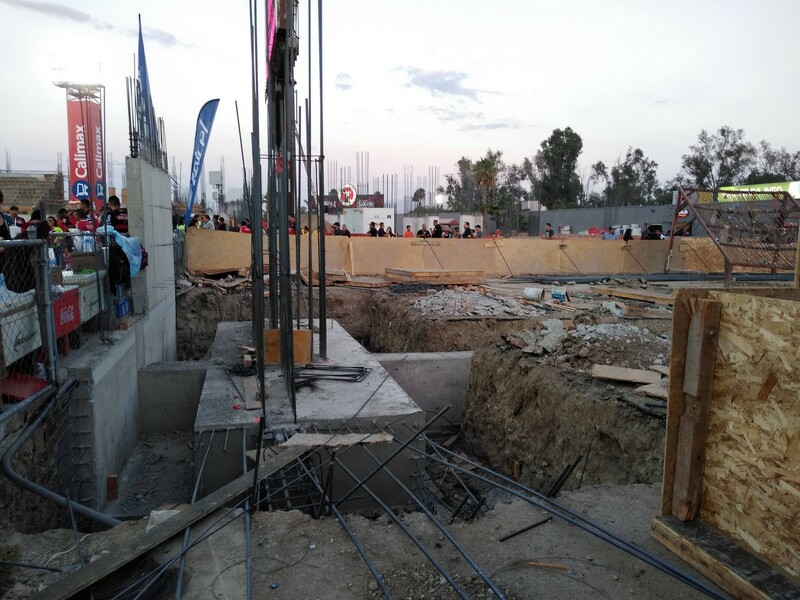 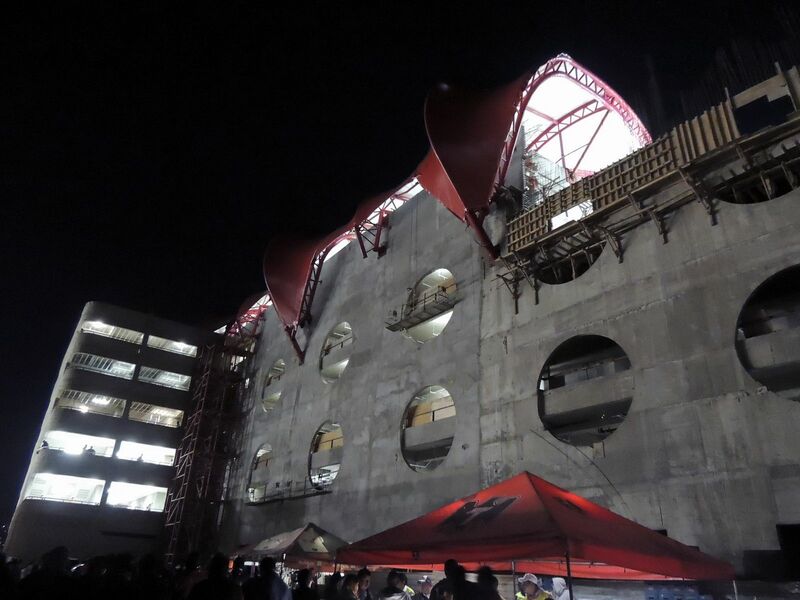 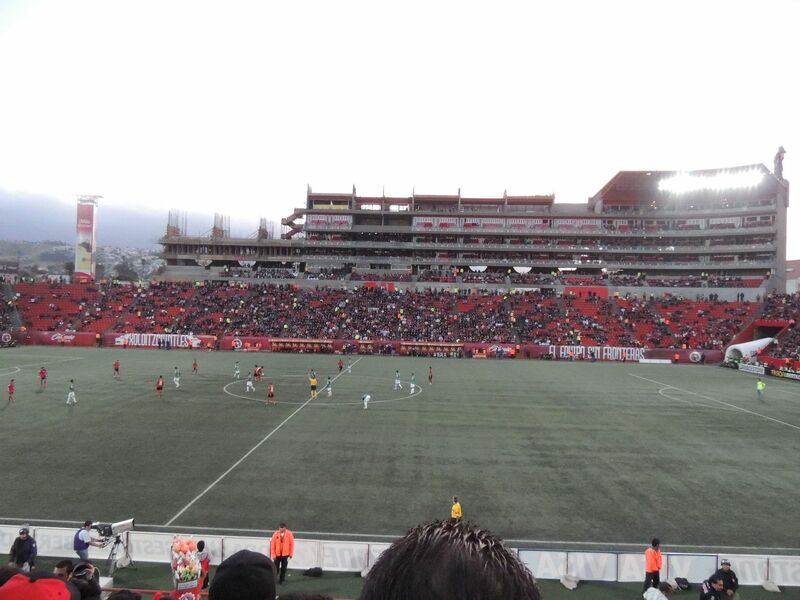 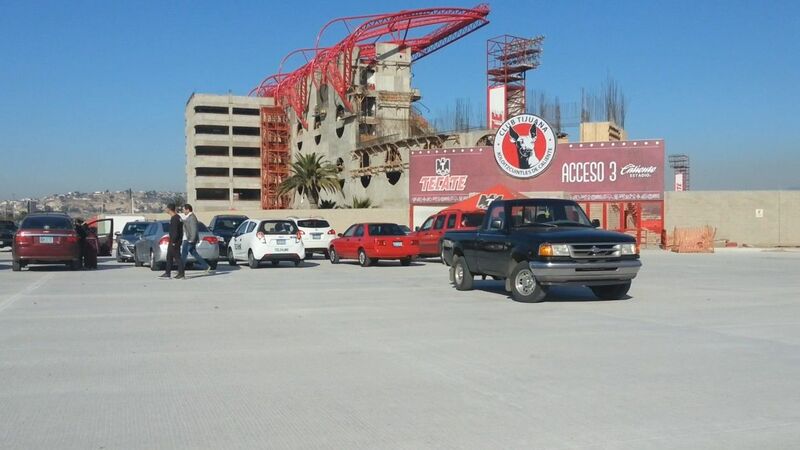 Local identity is no joke for Club Tijuana, who just set up a huge dog head as their main access gate to Estadio Caliente. 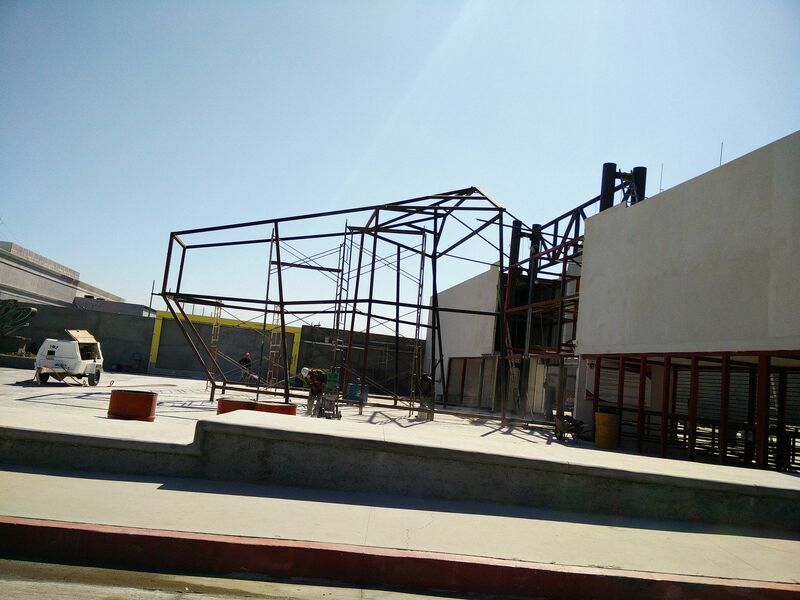 Not exactly beautiful, but still impressive.